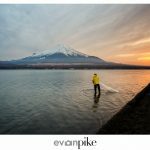 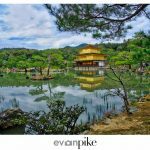 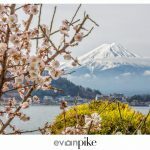 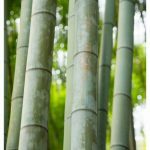 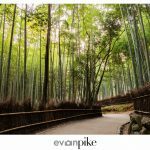 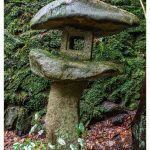 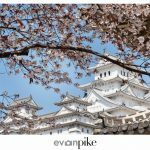 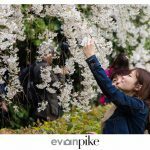 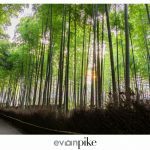 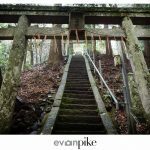 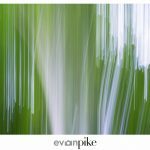 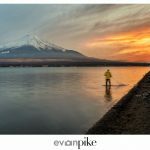 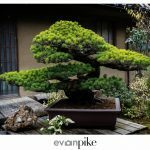 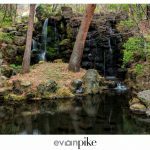 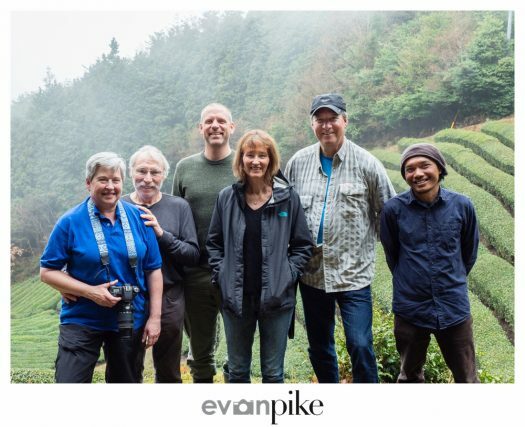 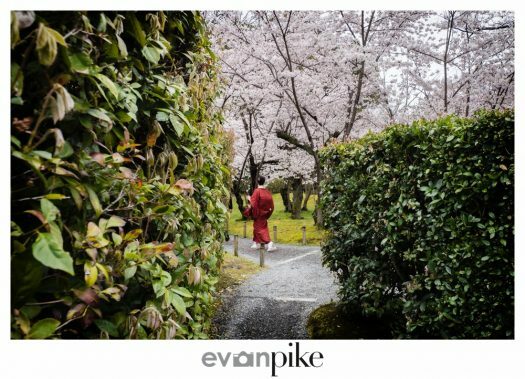 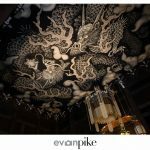 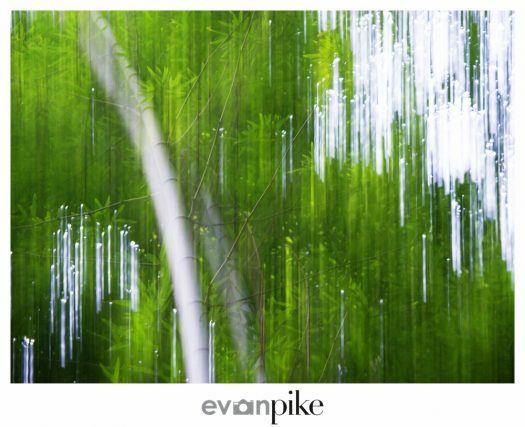 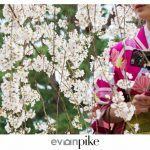 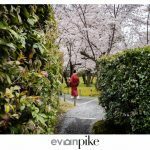 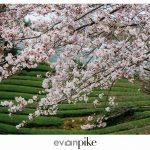 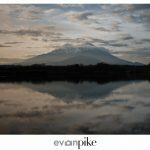 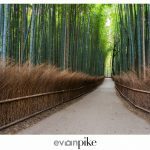 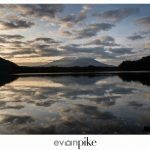 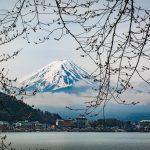 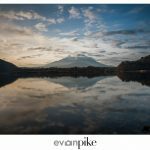 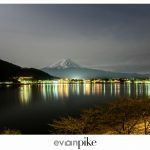 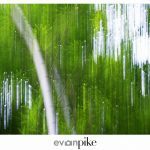 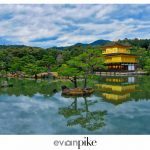 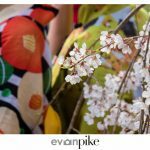 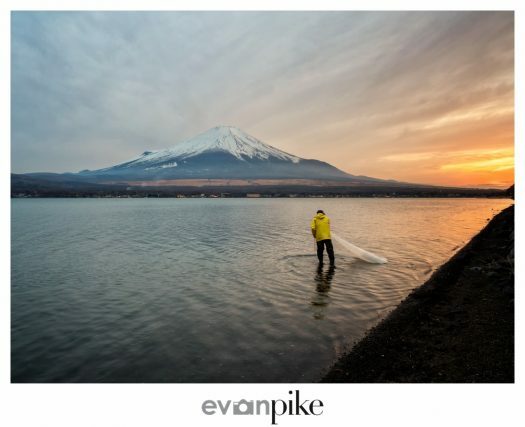 After a few days in Kyoto, the small group of photographers on the 2017 Cherry Blossom Tour of Japan headed to the outskirts of Kyoto to Wazuka. 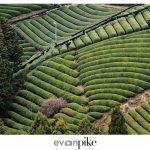 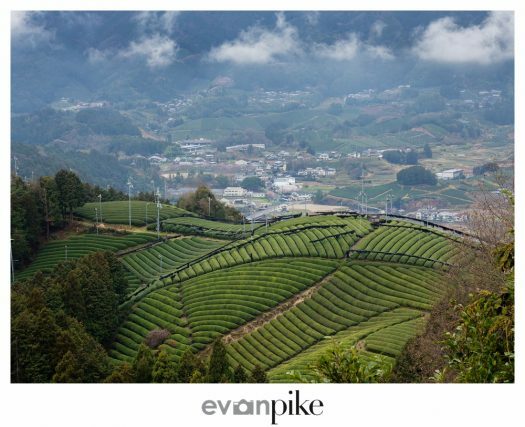 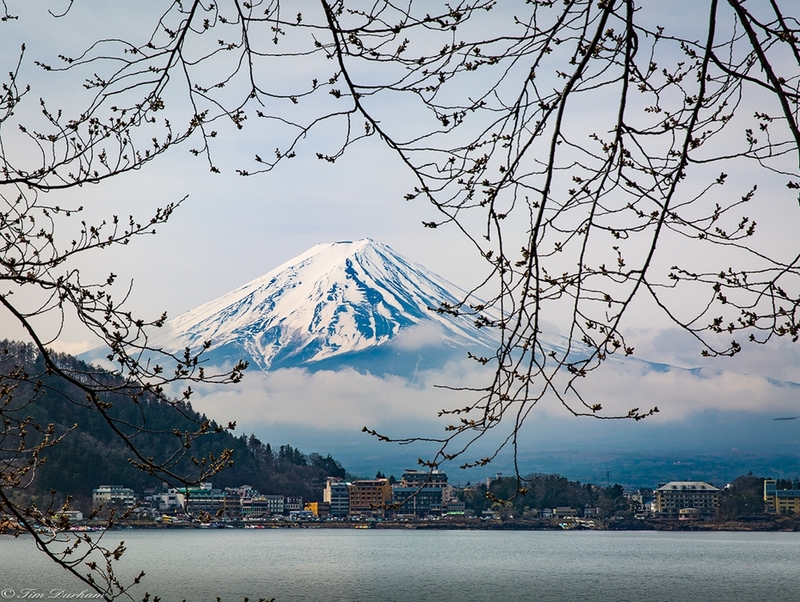 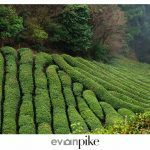 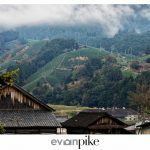 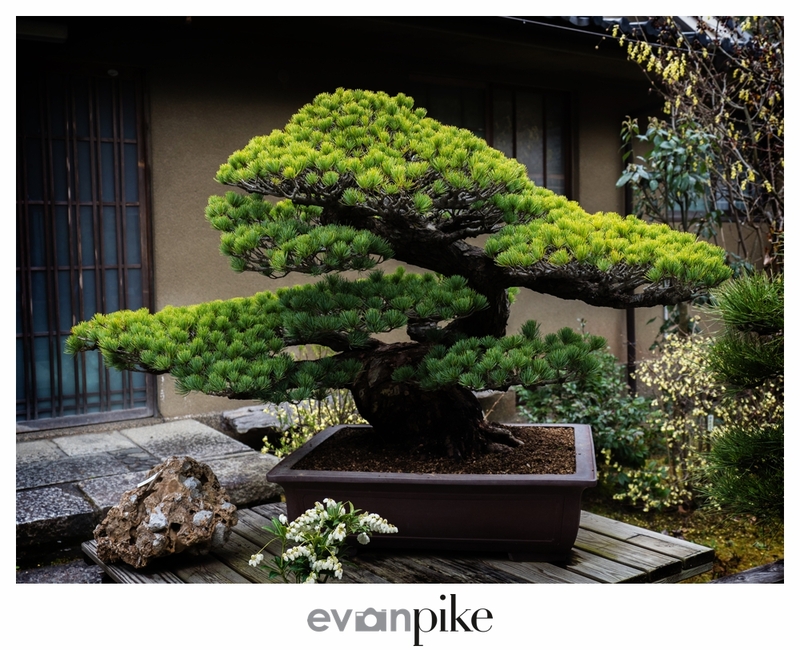 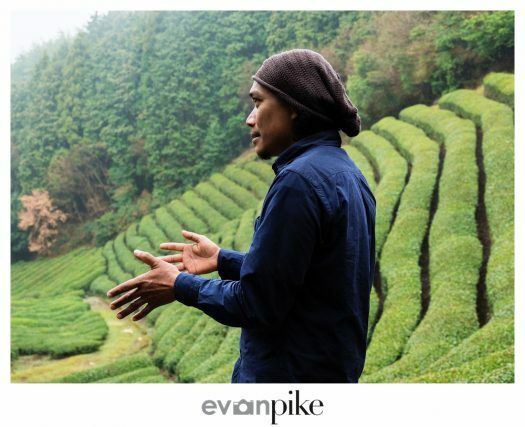 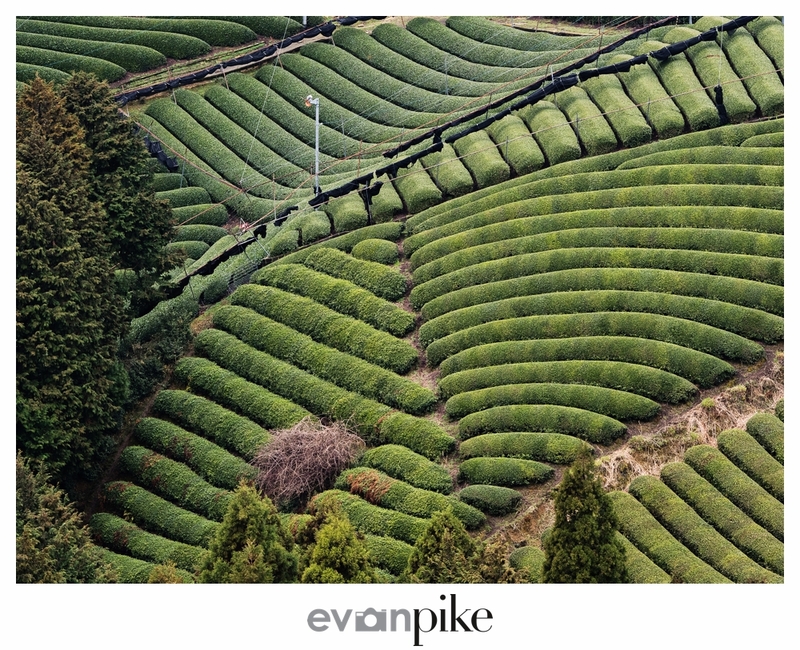 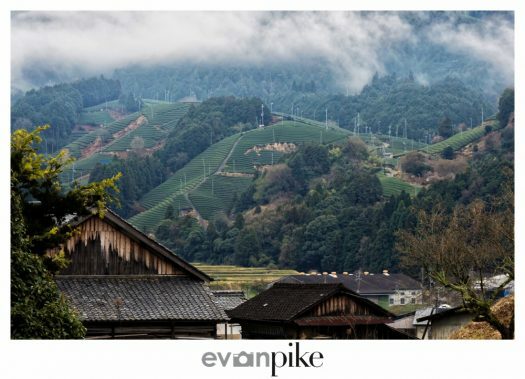 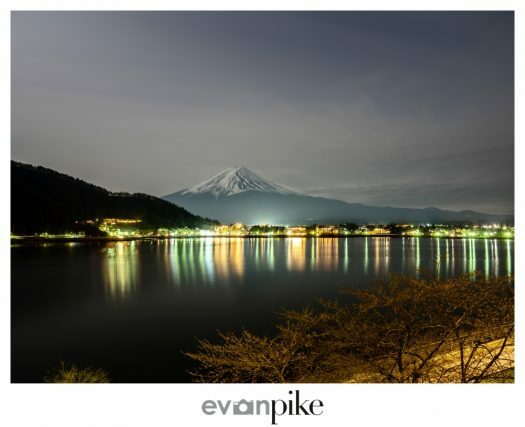 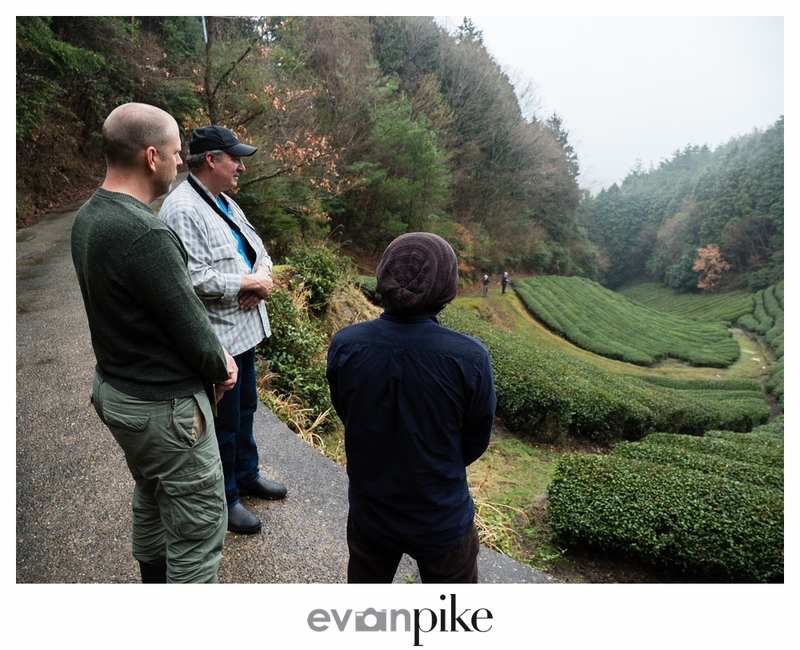 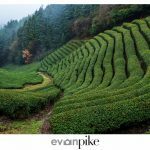 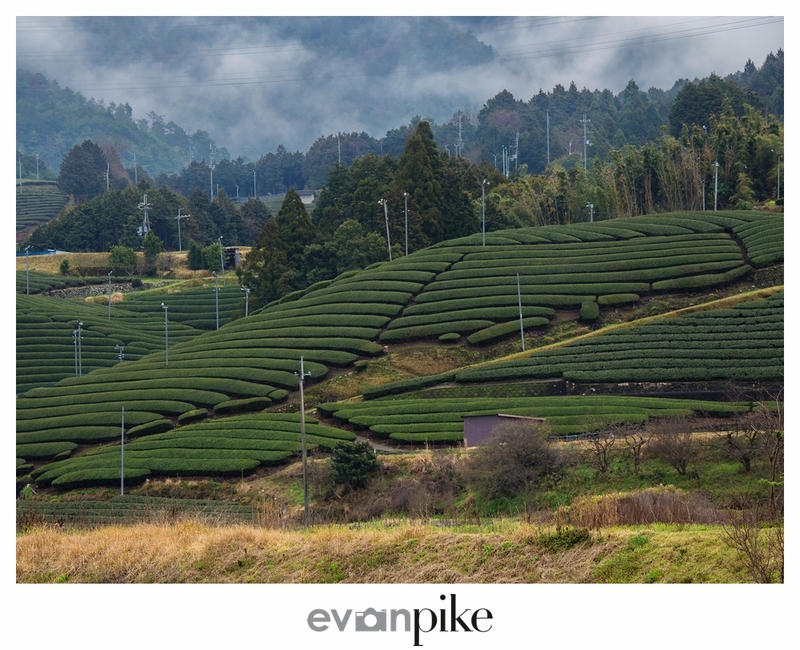 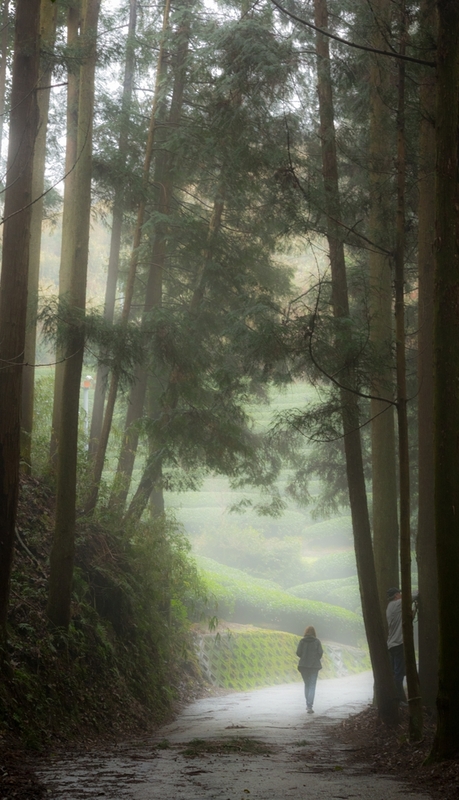 Wazuka is a green tea farming town, considered by many to grow some of the finest, if not the finest, green tea in Japan, which means the world most would argue. 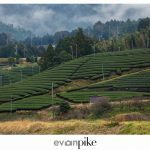 For our stay in Wazuka we stayed at a lovely bed and breakfast literally in the tea fields, The Blodge Lodge. 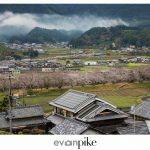 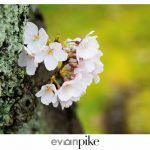 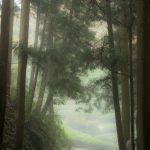 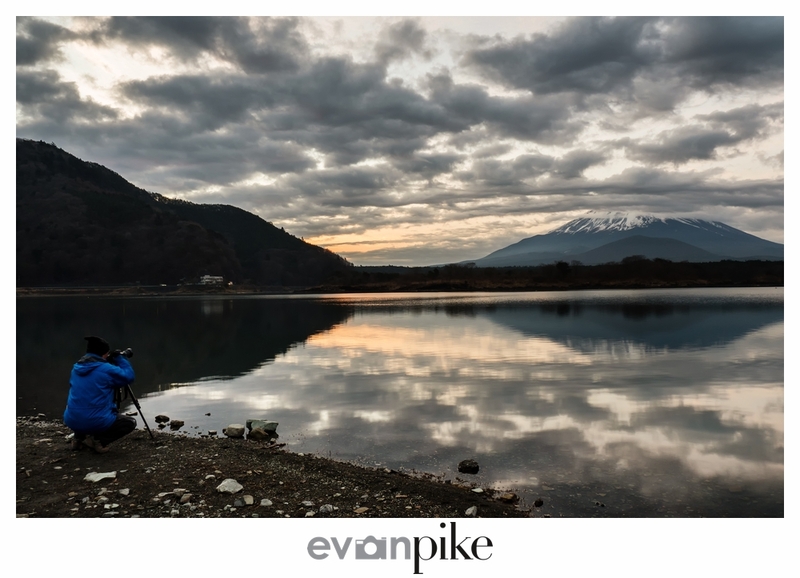 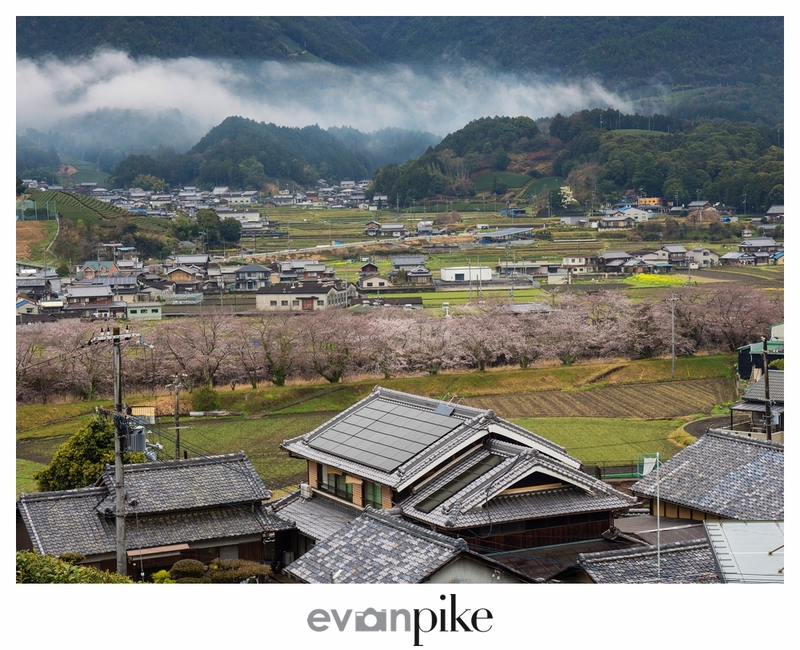 While the cherry blossoms had caught up to us in Kyoto, here in Wazuka the cherry blossoms were a few days behind for the most part and unfortunately, we had mostly rainy and misty weather for the 2 nights we stayed in Wazuka. 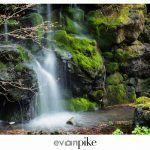 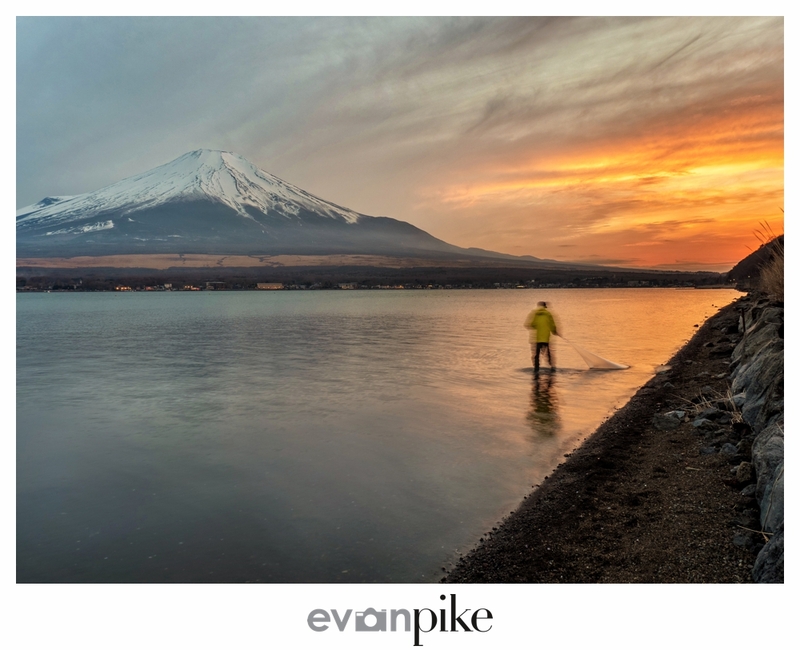 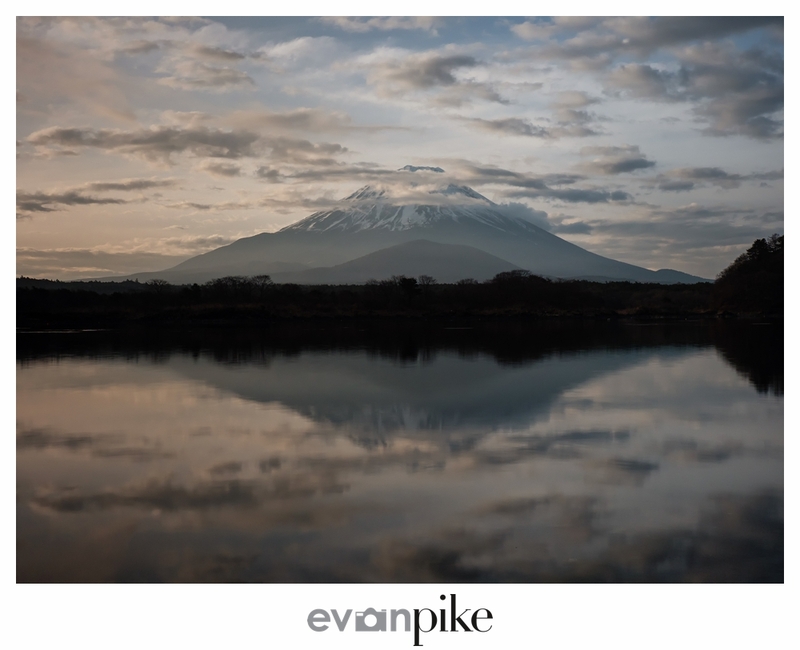 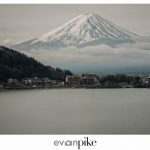 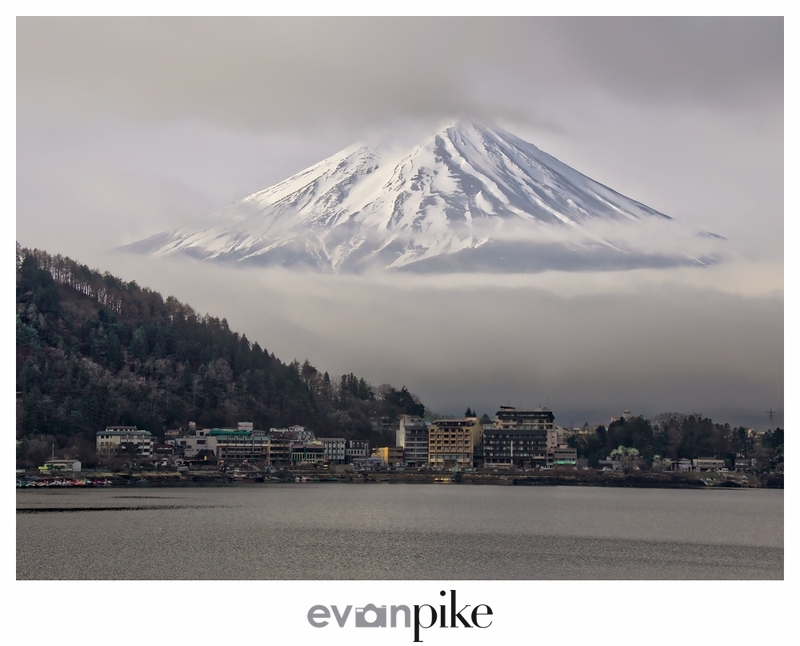 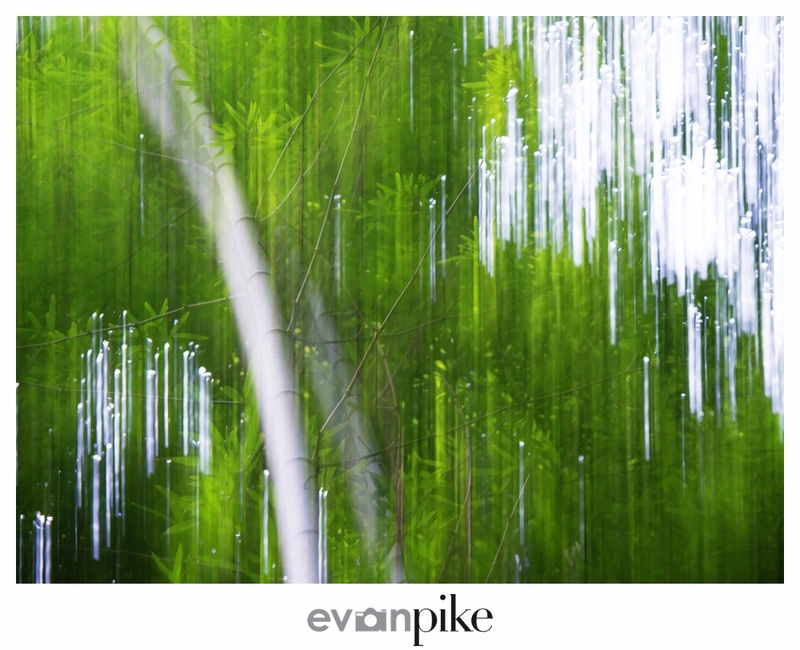 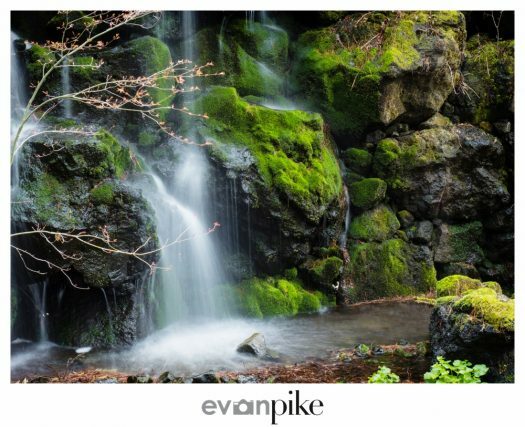 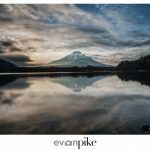 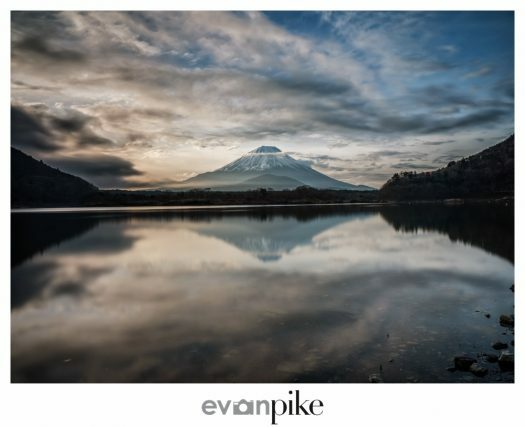 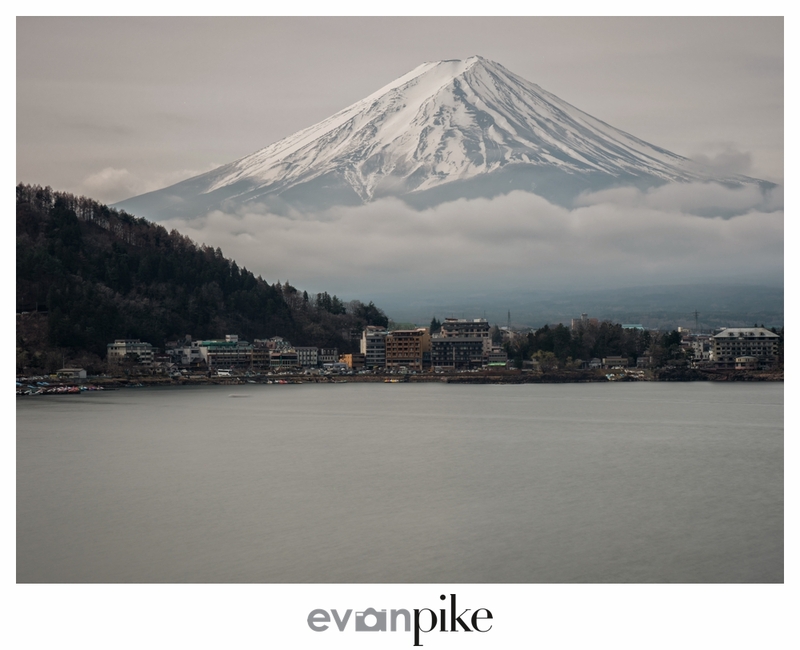 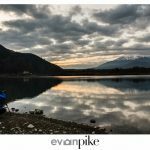 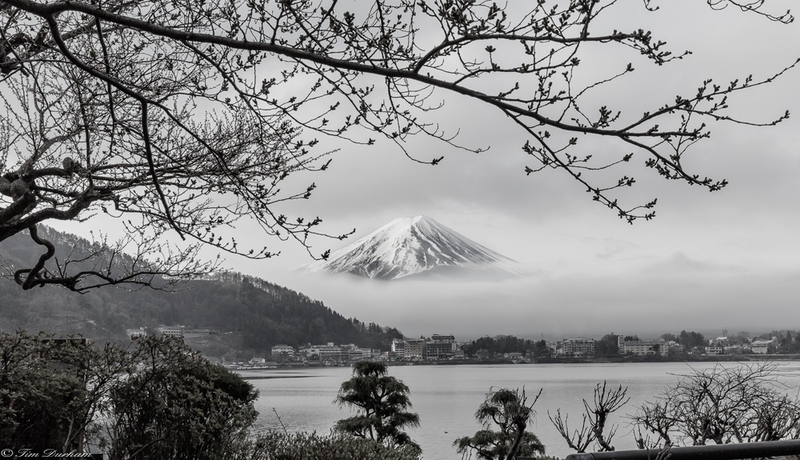 Even with less than ideal weather, it was easy to see that our photography tour was in for a treat. First and foremost, the couple running the bed and breakfast, Michael and Ikuko are wonderful and went above and beyond our expectations. 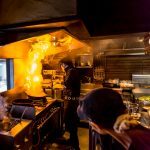 Also the meals we had there were wonderful as Ikuko is a wonderful cook. 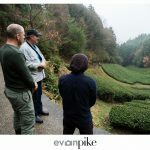 In hindsight, I wish I had done some food photography of the food she prepared and of the tea tasting experience she provided for us. 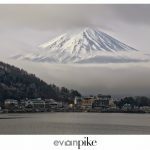 Guess that means I need to go back! 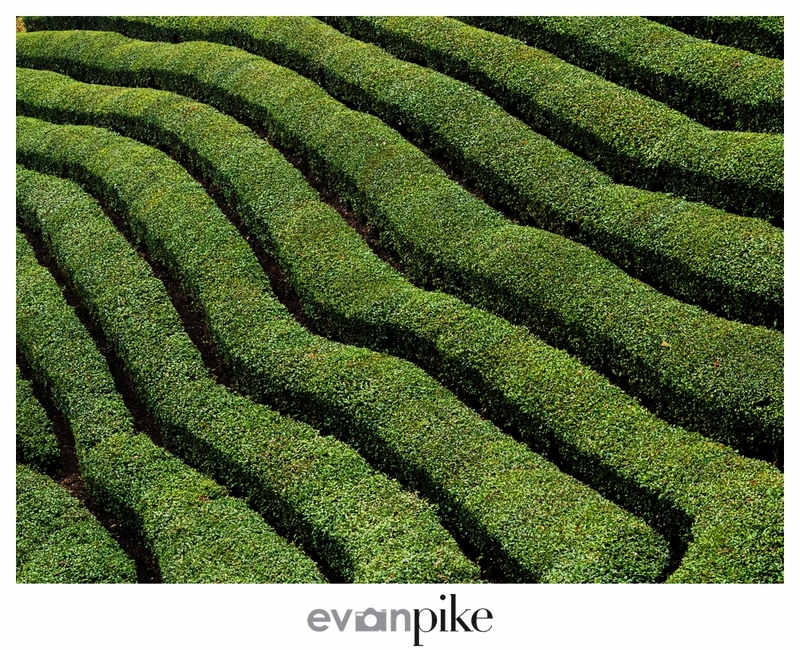 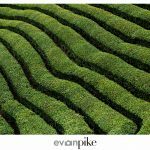 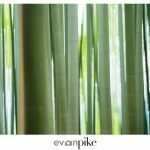 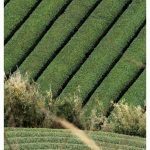 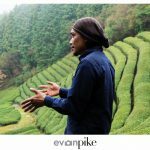 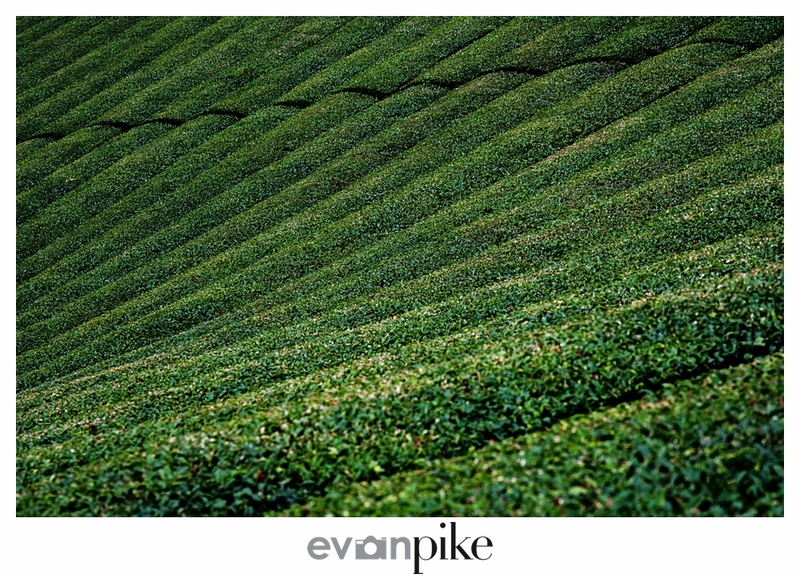 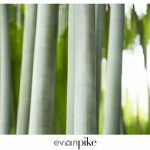 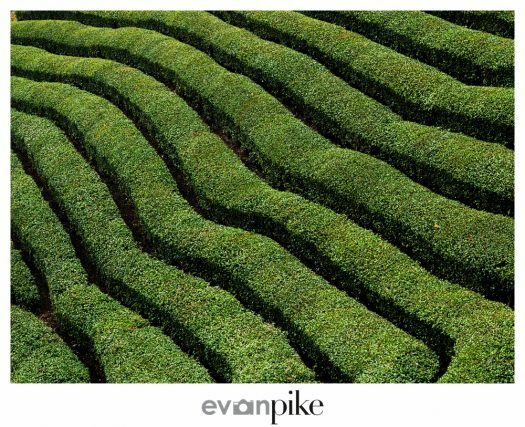 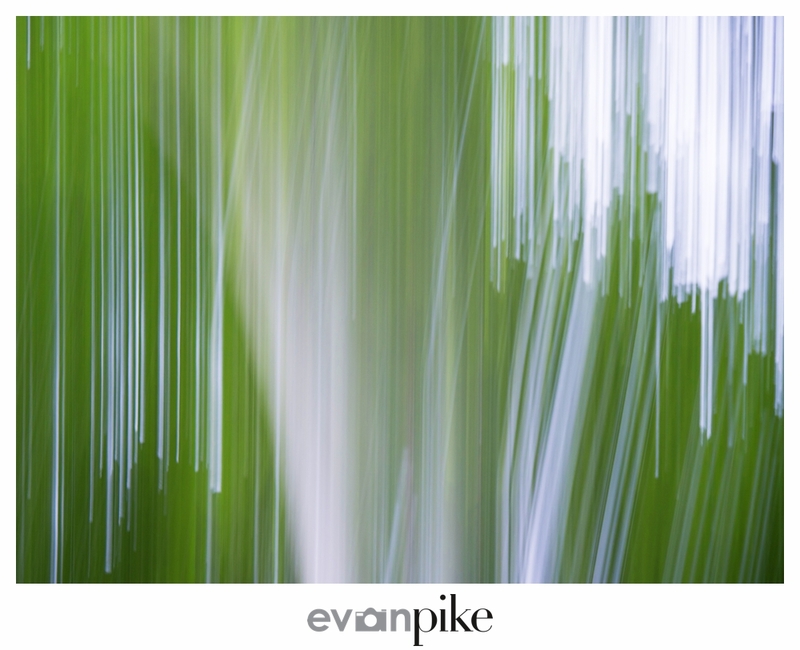 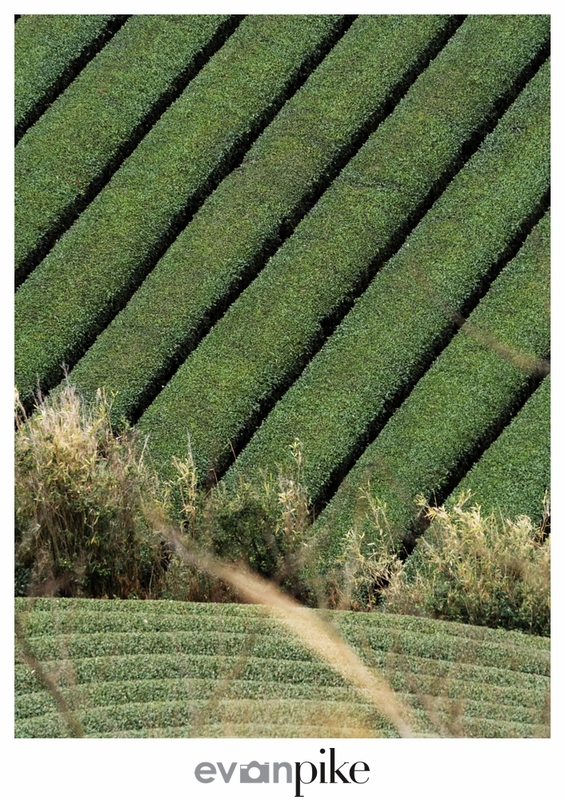 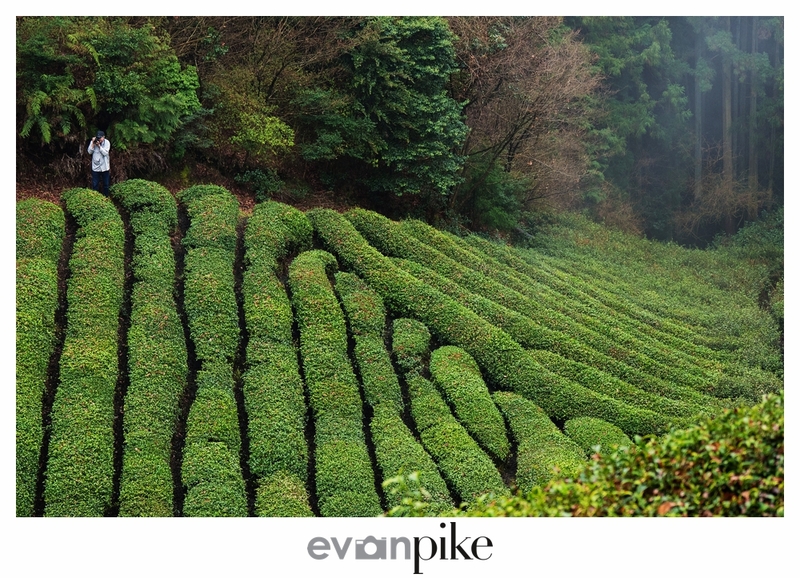 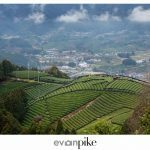 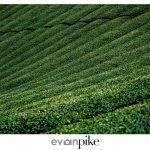 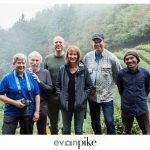 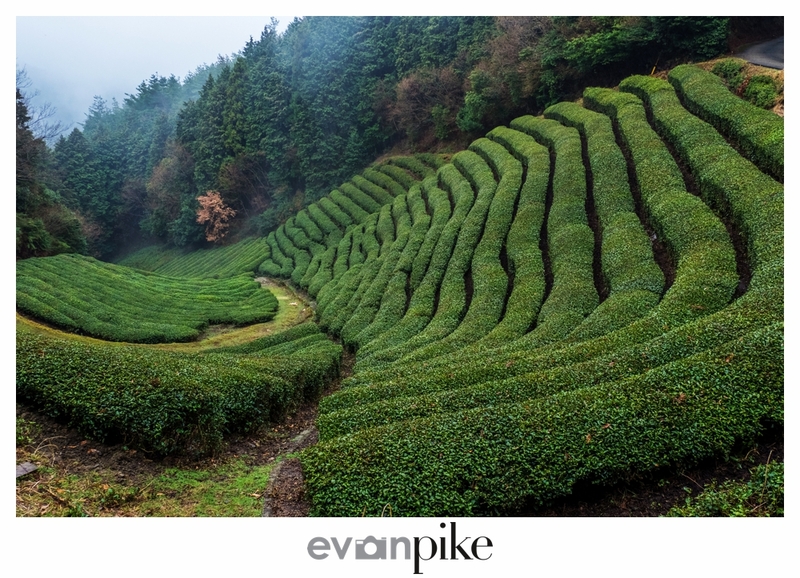 Photography wise, the weather and lack of light impacted what we could do with the tea fields as I really wanted more contrast in the lines between the tea trees, but I still came away with quite a few good photographs. 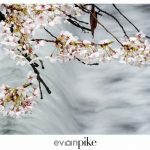 Though the clouds did sometimes make for some cool photos, I was still wishing for some more light and more cherry blossoms! 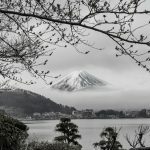 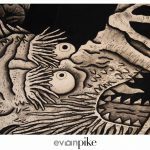 Again, it only means I have to go back! 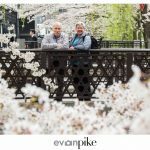 After visiting Tokyo, Hiroshima, Miyajima and Himeji, the 2017 Cherry Blossom tour of Japan headed north again to Kyoto. 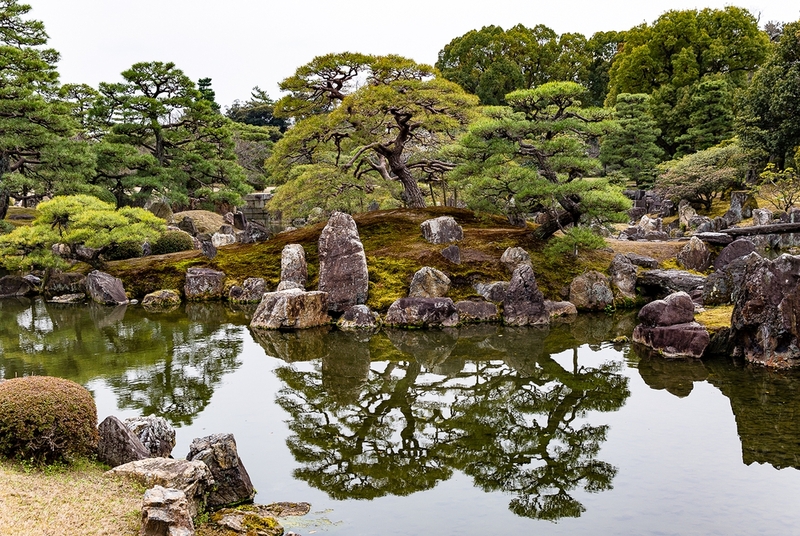 I’ve said it many times before, Kyoto is my favorite city in Japan and perhaps in the world. 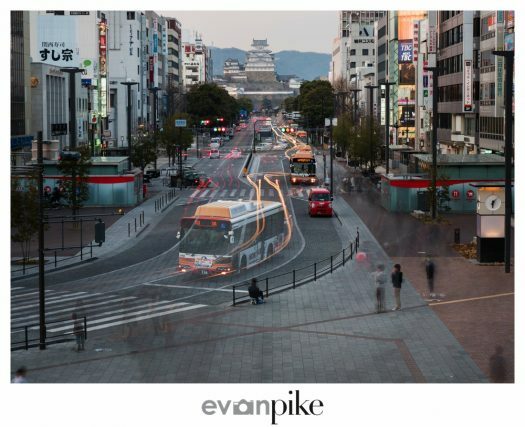 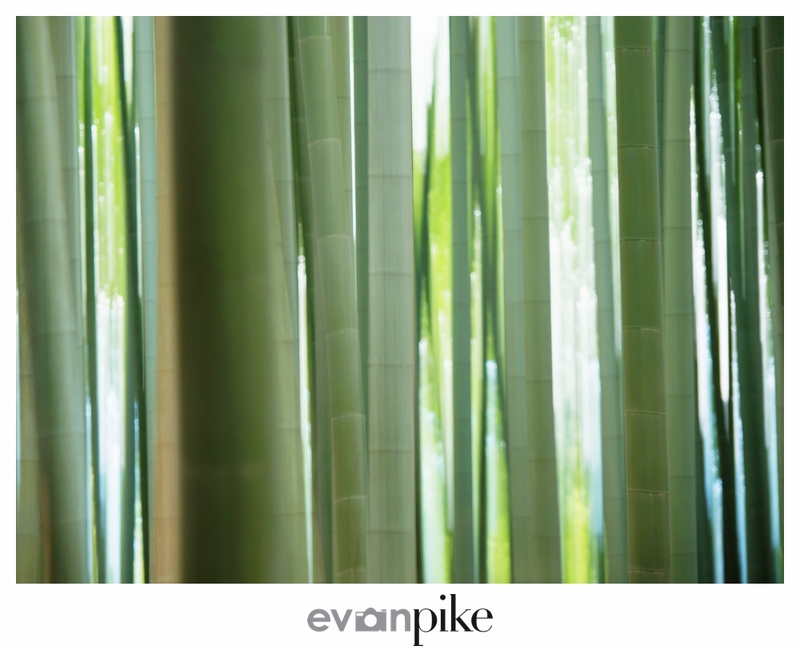 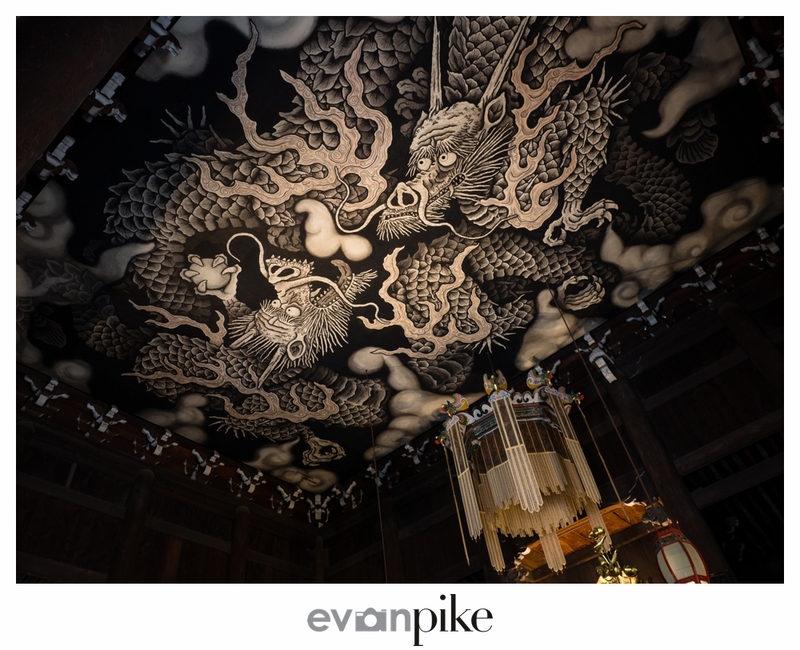 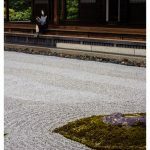 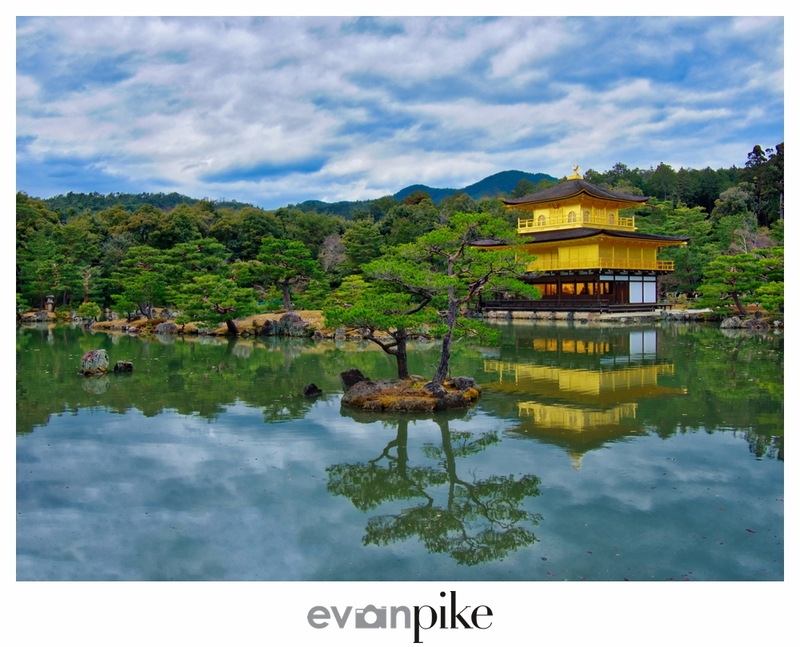 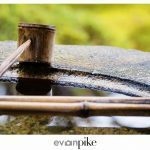 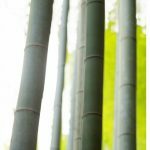 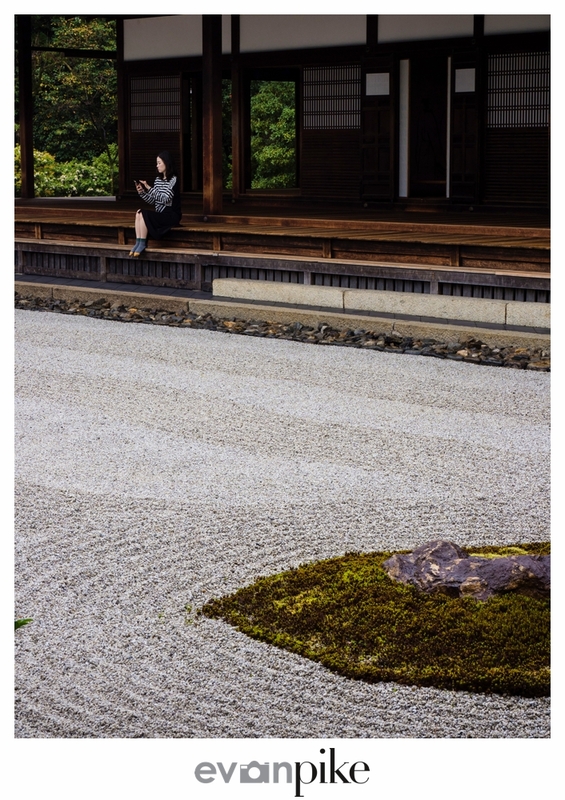 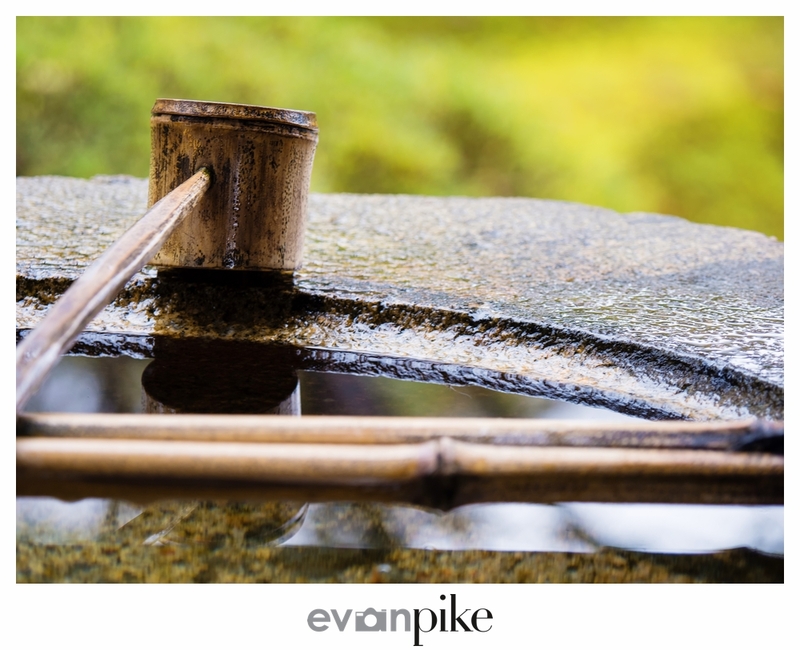 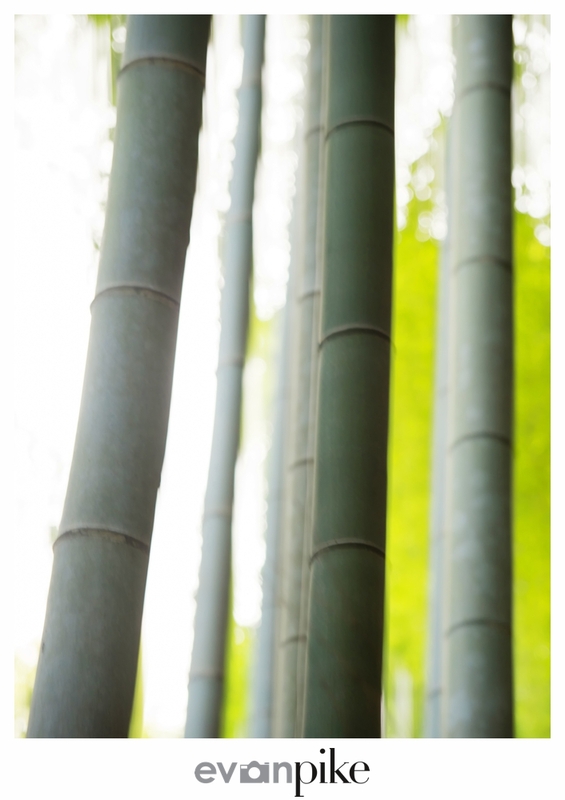 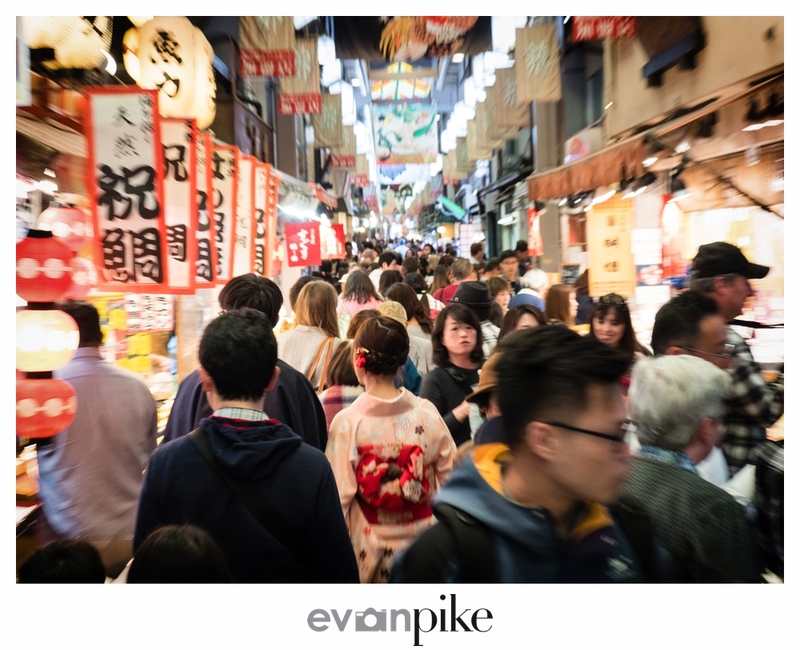 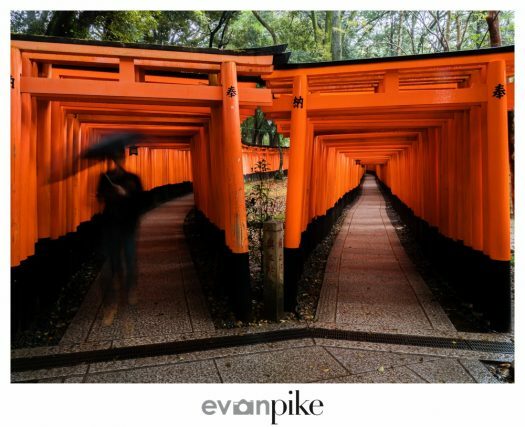 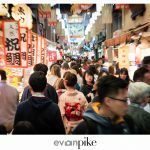 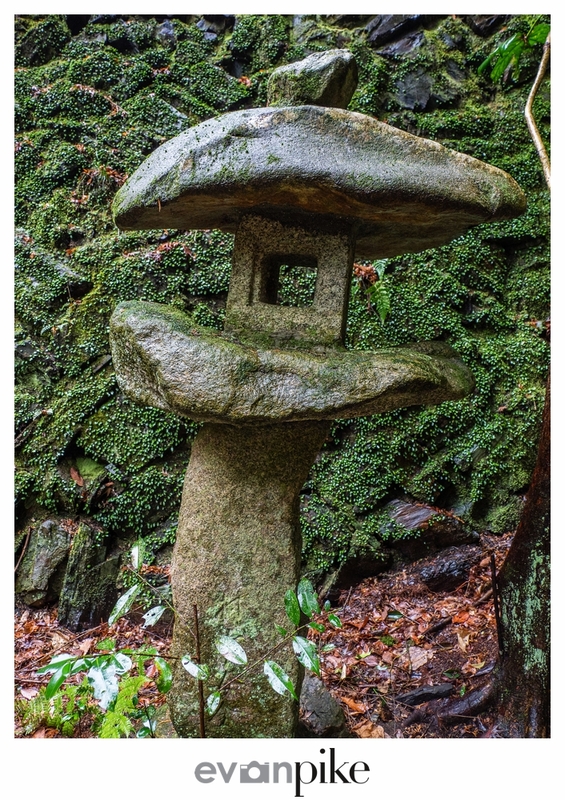 The mix of modern and traditional Japan is fantastic and there are always opportunities for photographers visiting Kyoto. 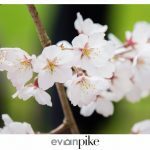 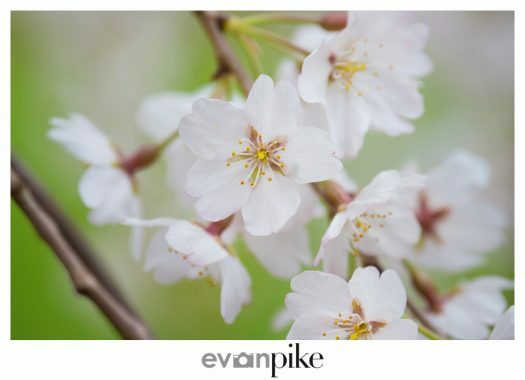 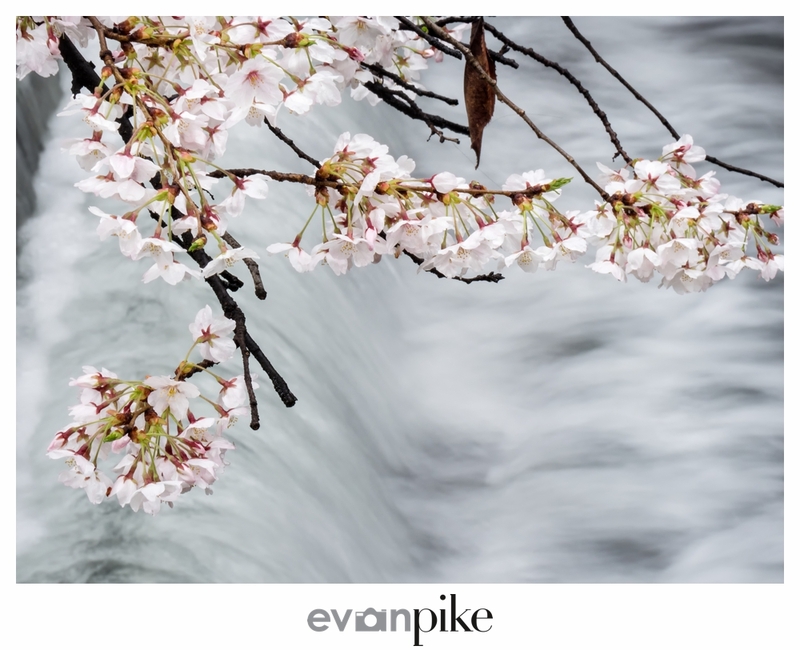 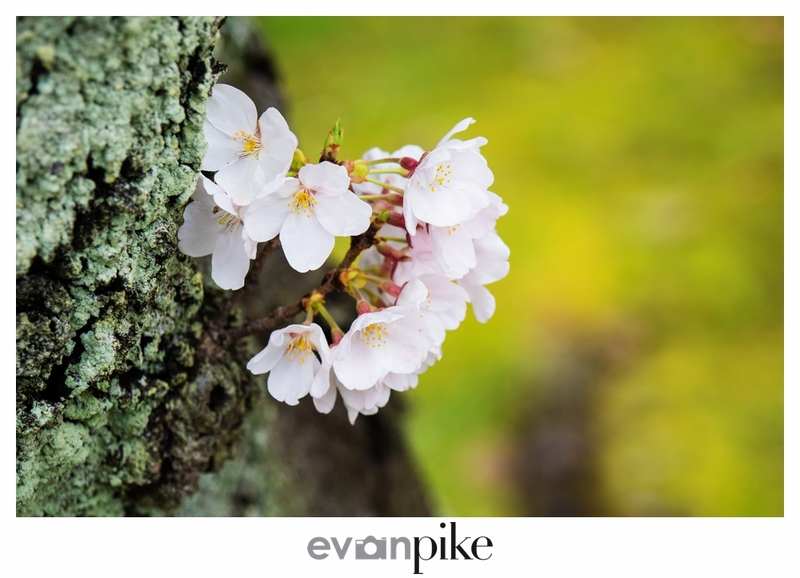 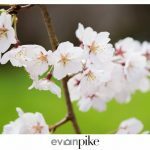 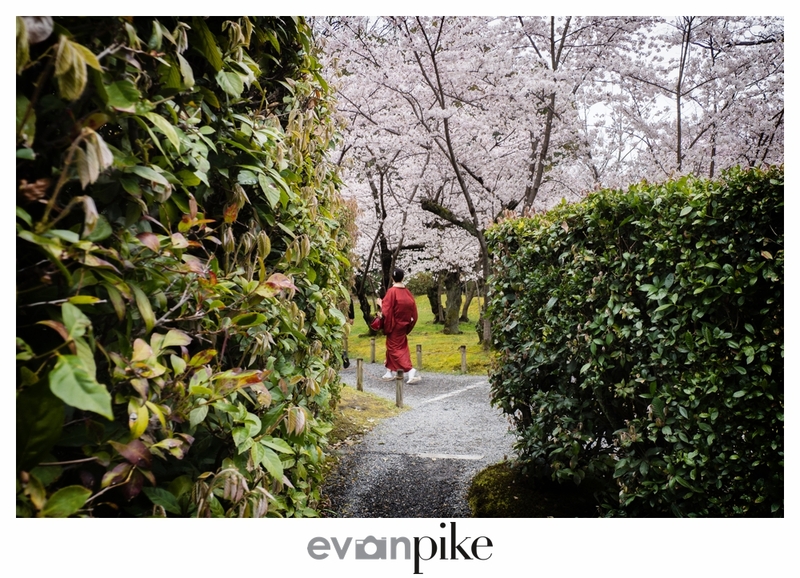 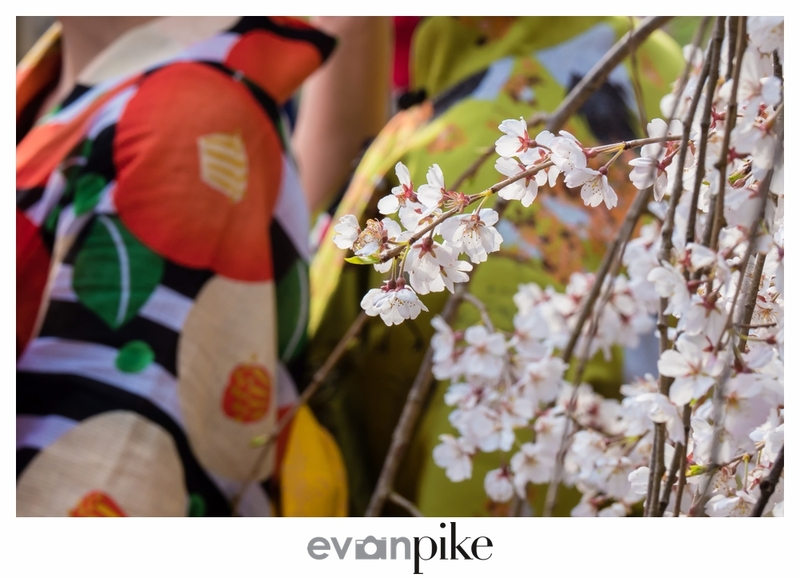 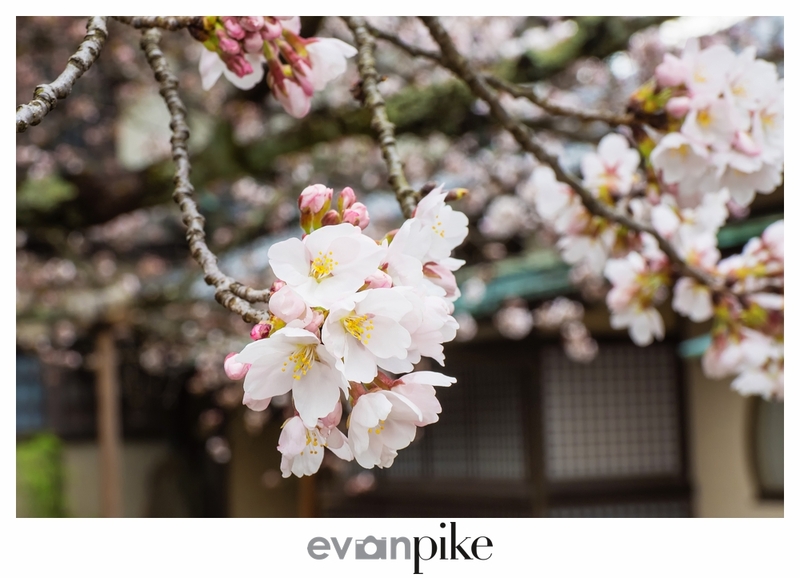 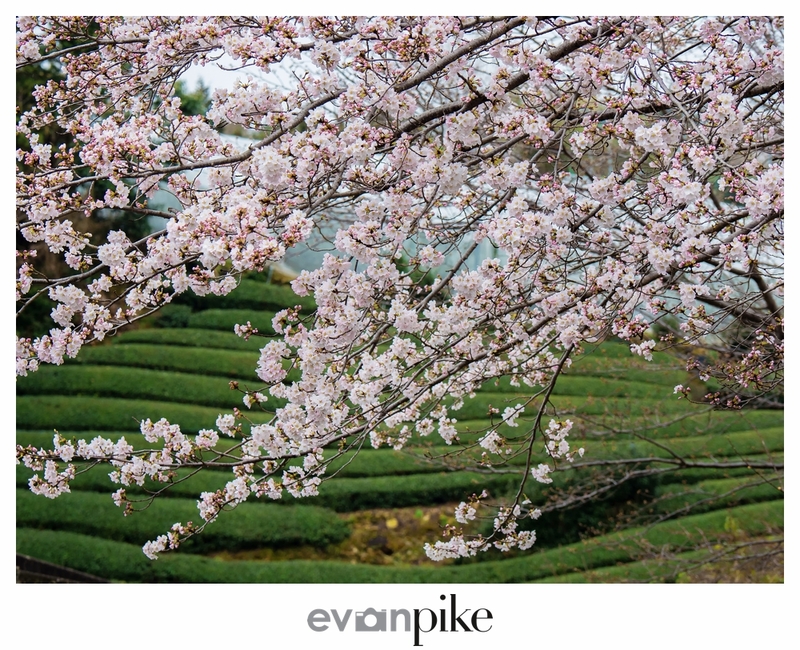 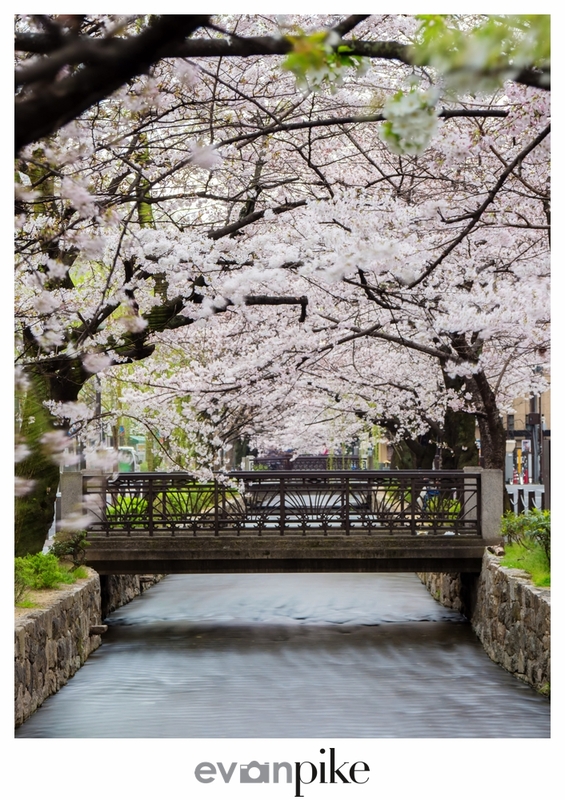 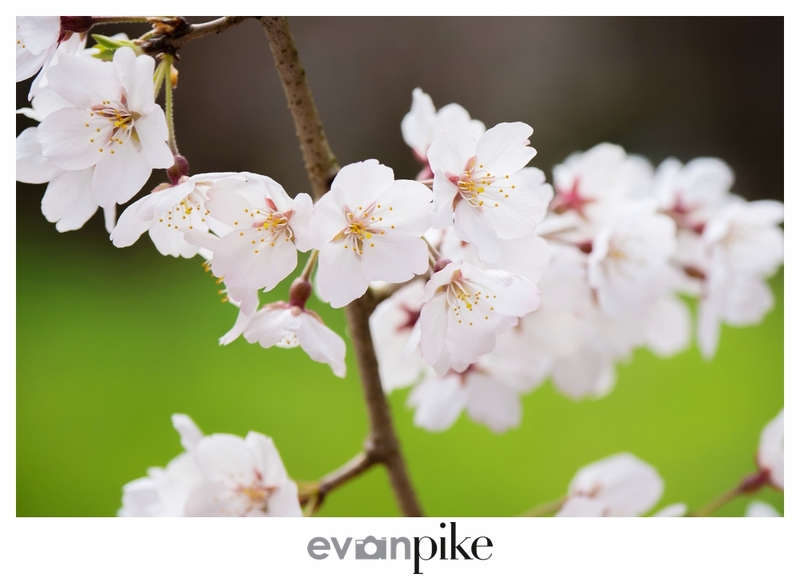 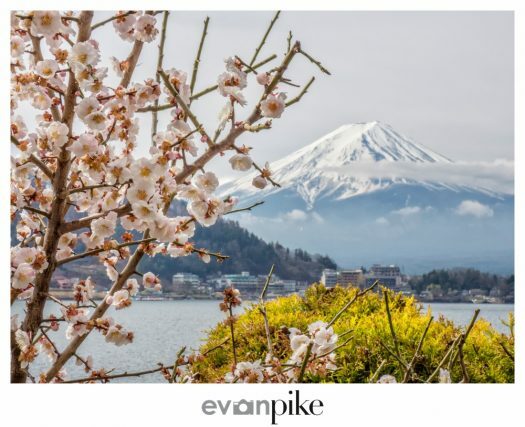 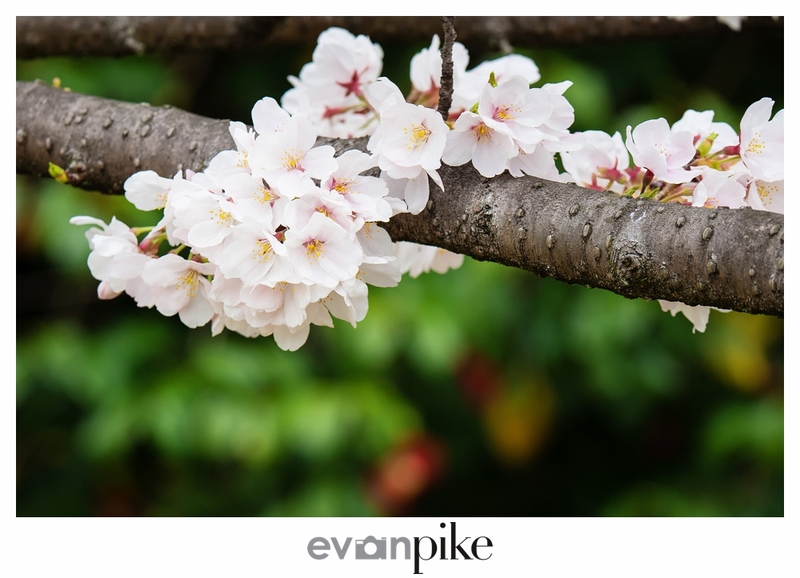 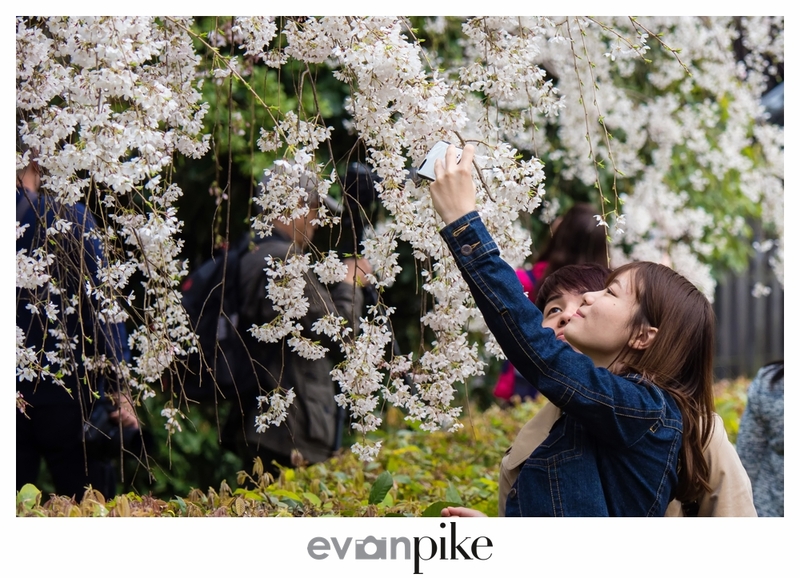 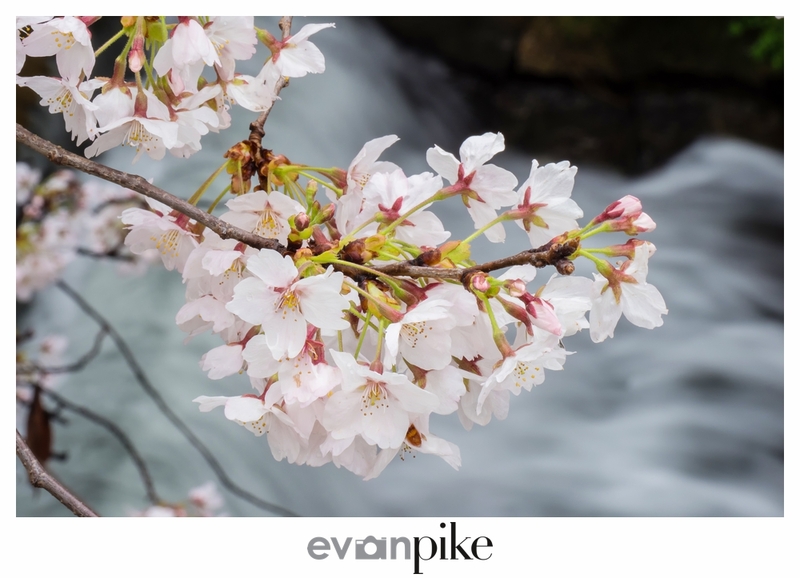 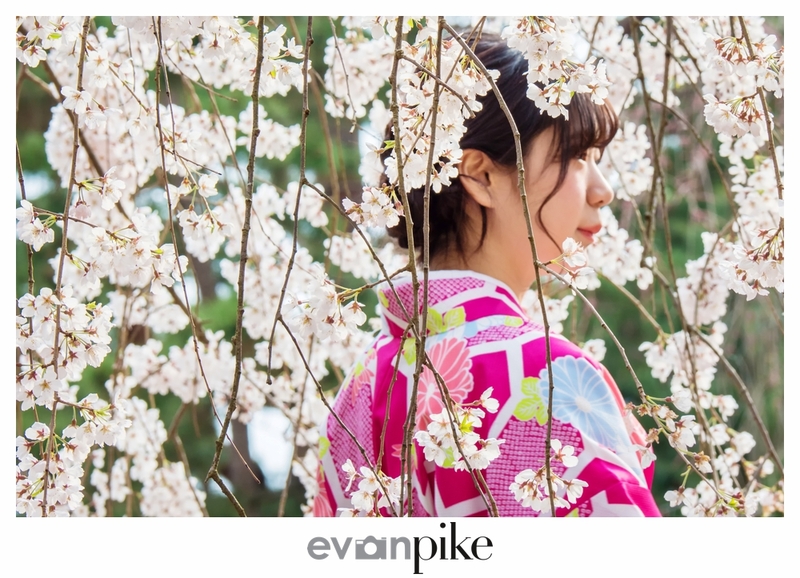 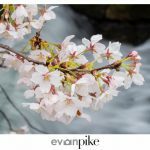 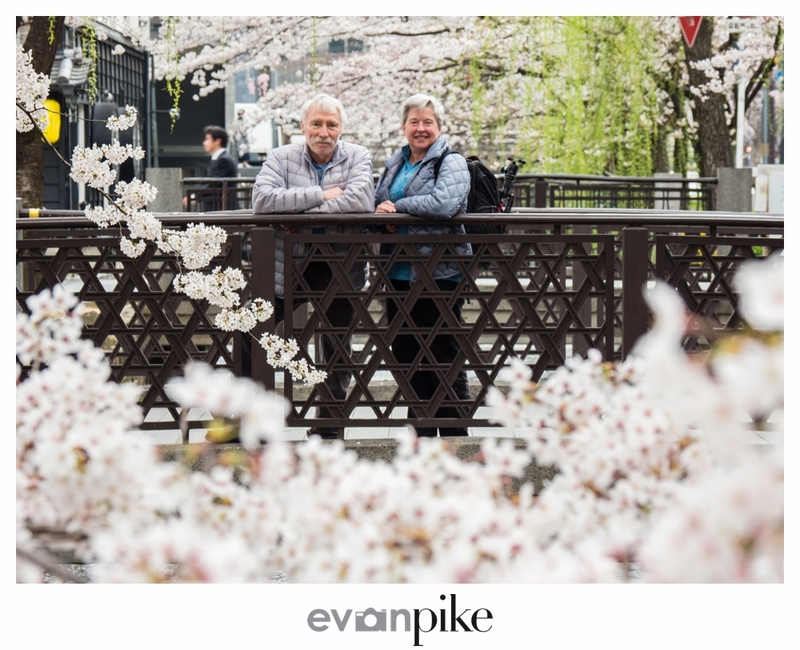 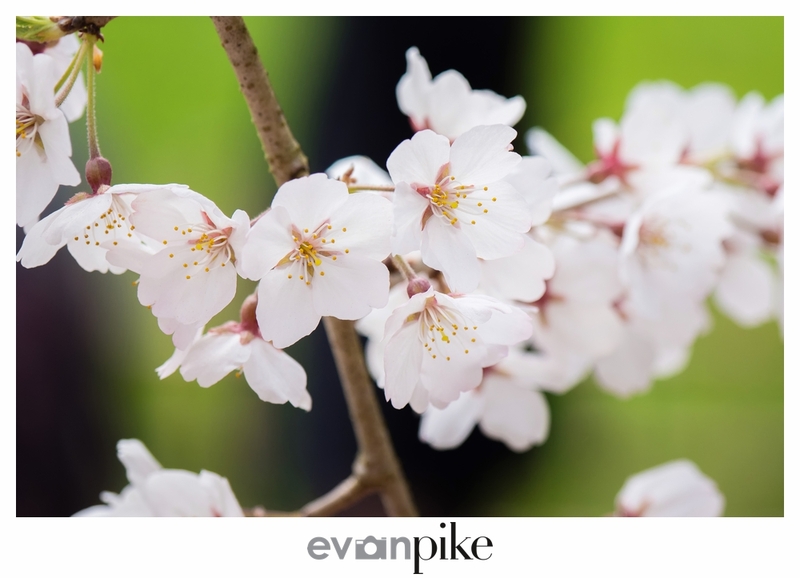 For our group of photographers touring Japan in cherry blossom season, the cherry blossoms had momentarily caught up with us and cherry blossoms were in full bloom in Kyoto! 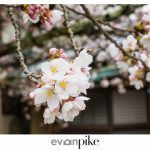 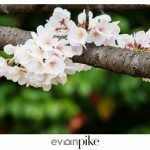 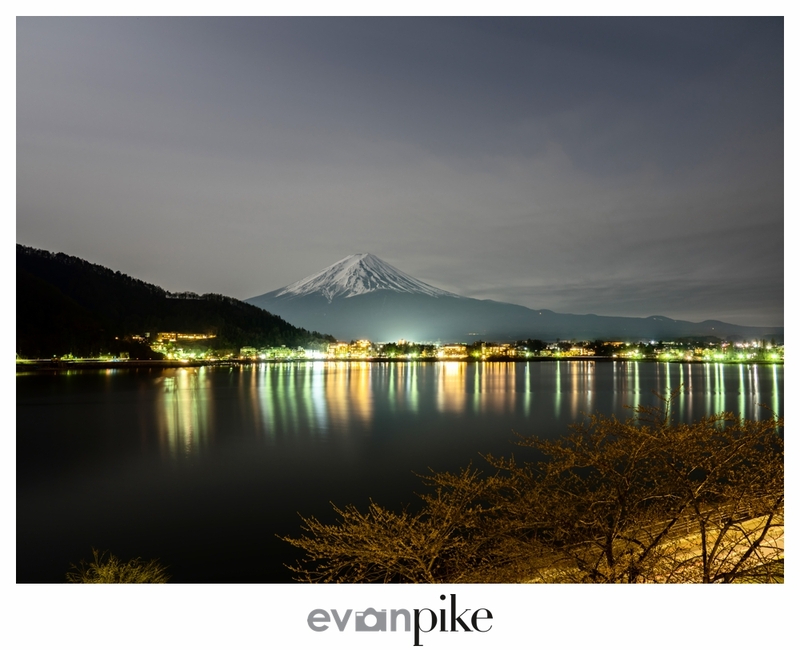 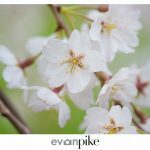 Though cherry blossoms in Kyoto are spectacular, there are many other places that regardless of the cherry blossoms are wonderful for photography. 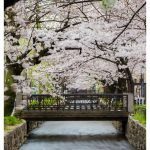 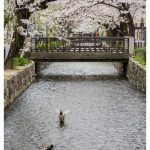 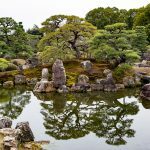 Kyoto is extremely crowded during this peak season for cherry blossoms, so some of these other place that don’t have cherry blossoms or aren’t famous for their cherry blossoms can be a nice place to take a break from the crowds of tourists visiting Kyoto. 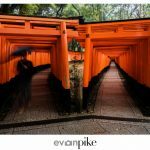 No matter how many days you stay in Kyoto, it would be hard to run out of photography opportunities. 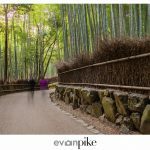 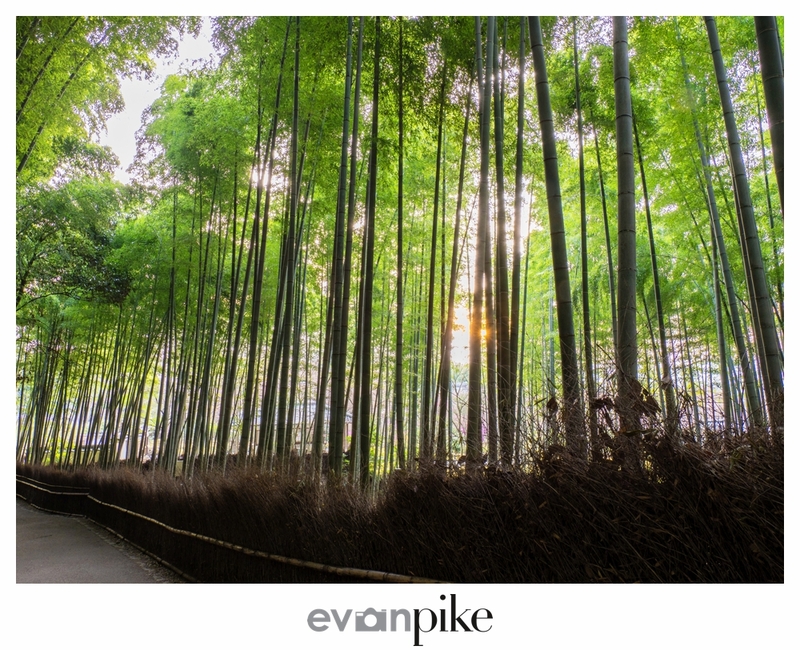 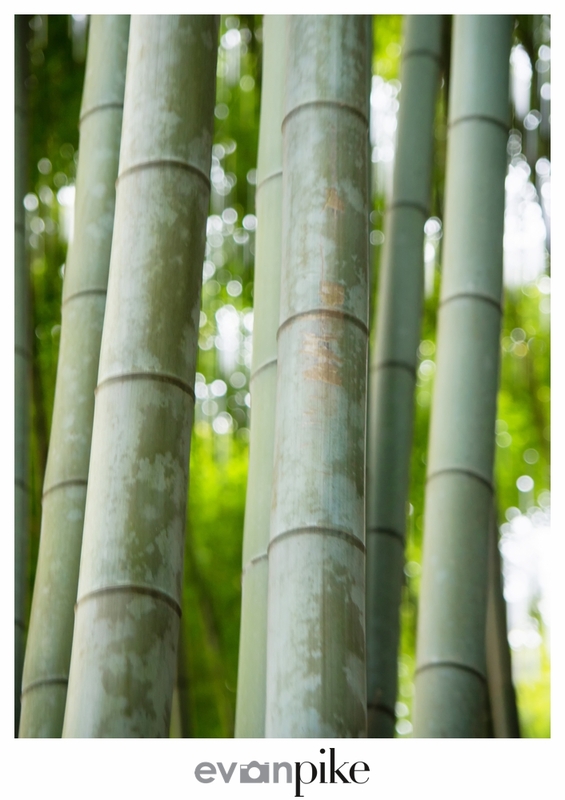 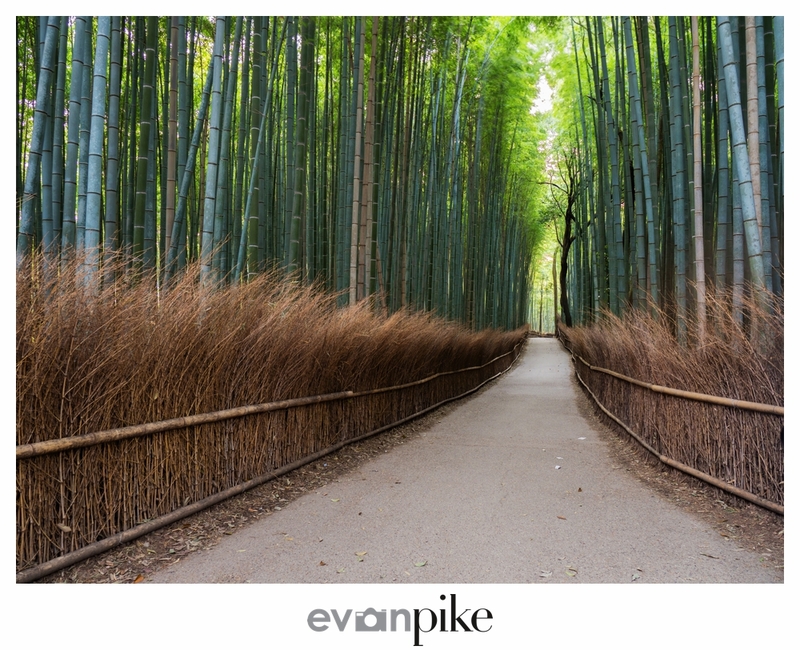 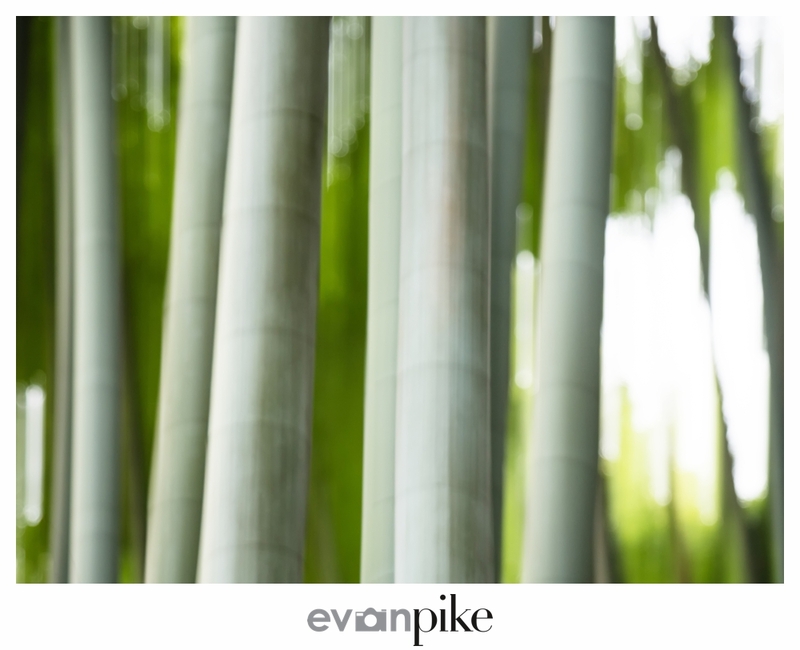 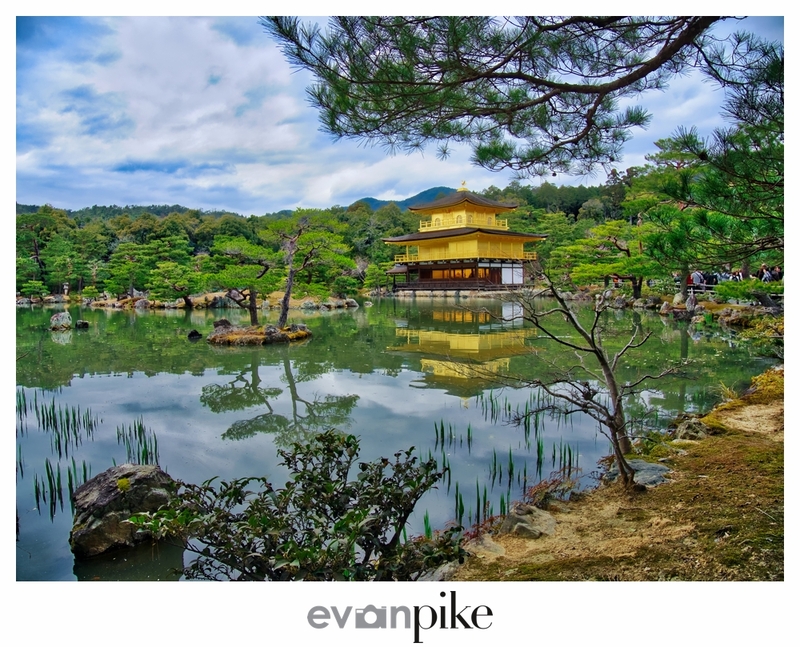 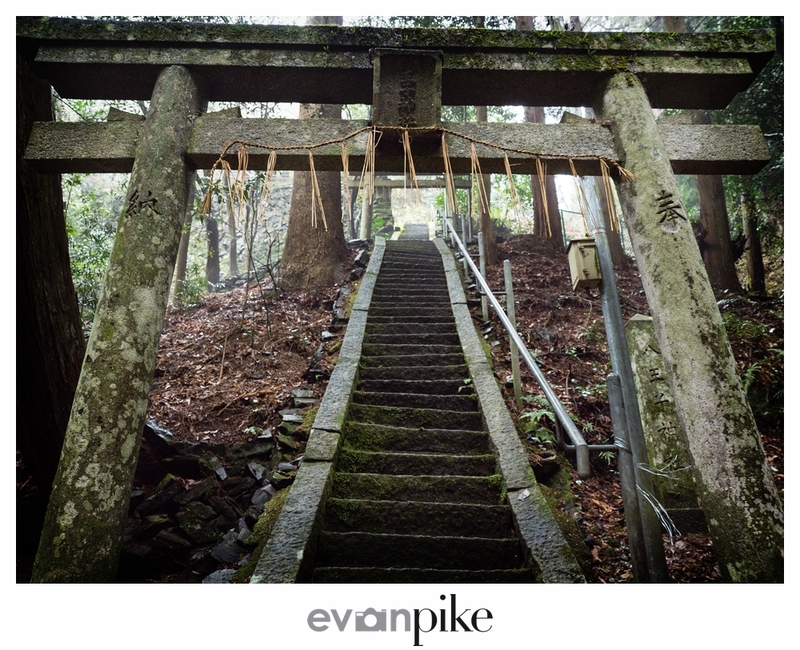 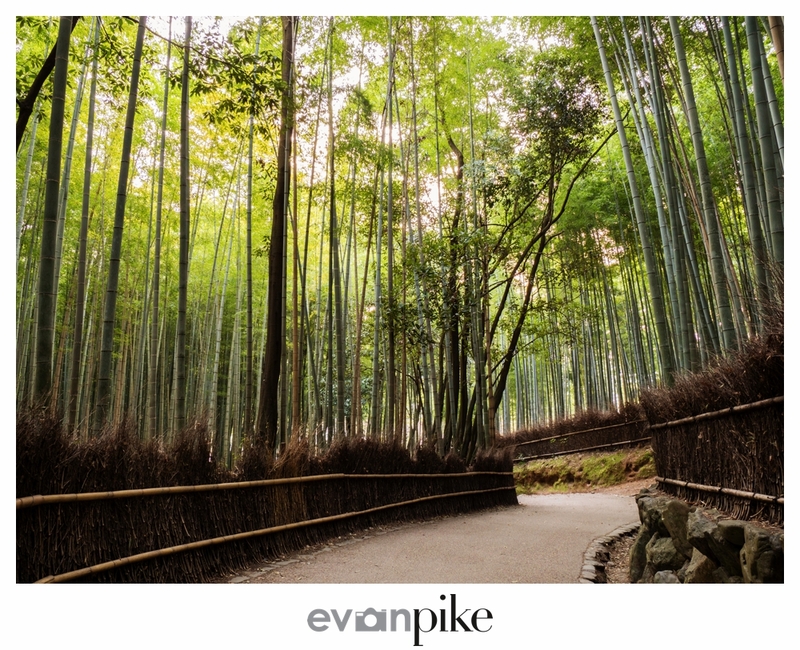 No matter what time of year, there are always a few places I love returning to like the Golden Pavilion (photo at top of this post), Bamboo Forest of Arashiyama and Fushimi Inari Shrine. 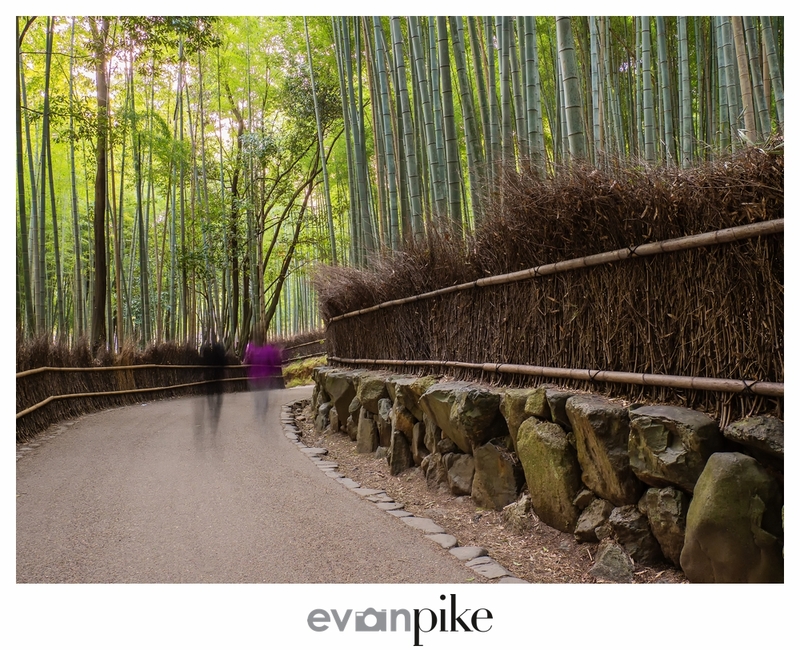 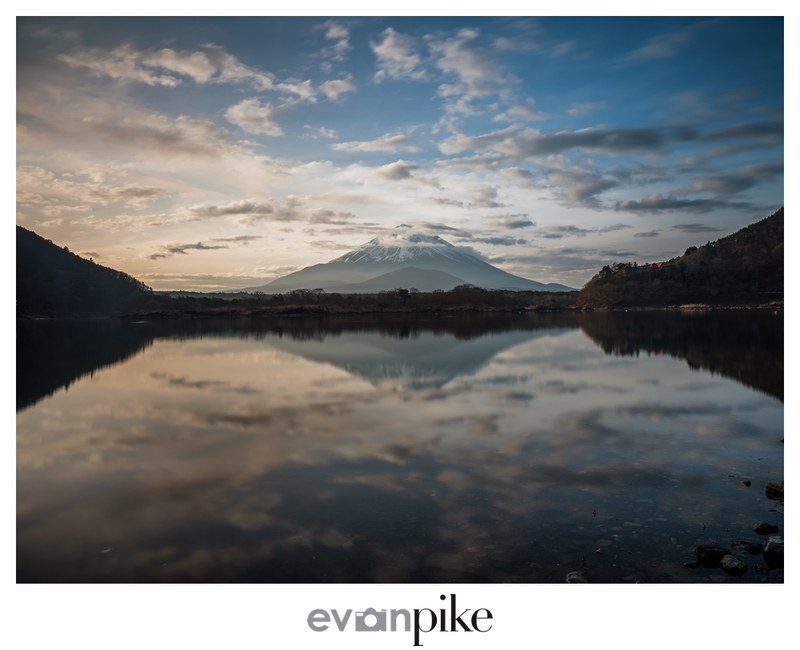 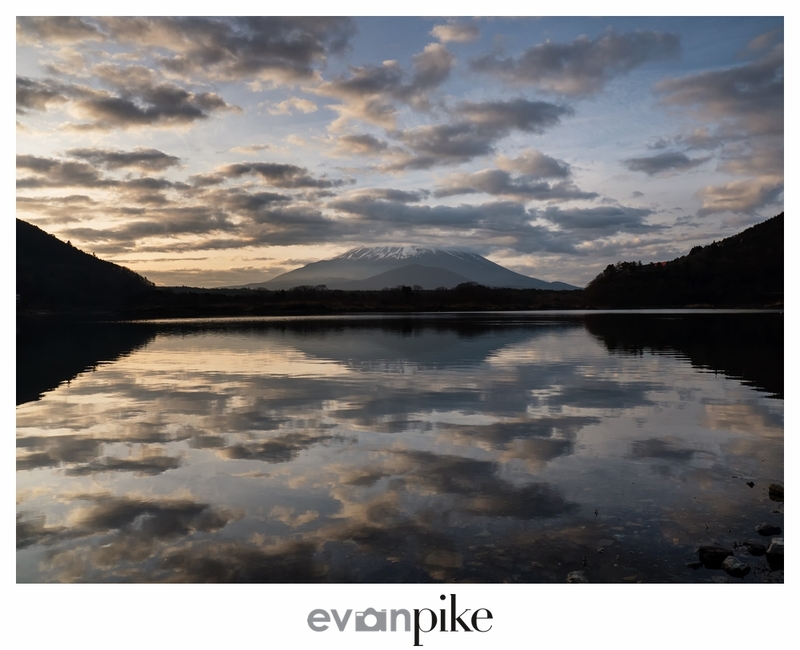 Before the gallery I also wanted to touch up on one feature of my new Olympus OM-D E-M1 Mark II. 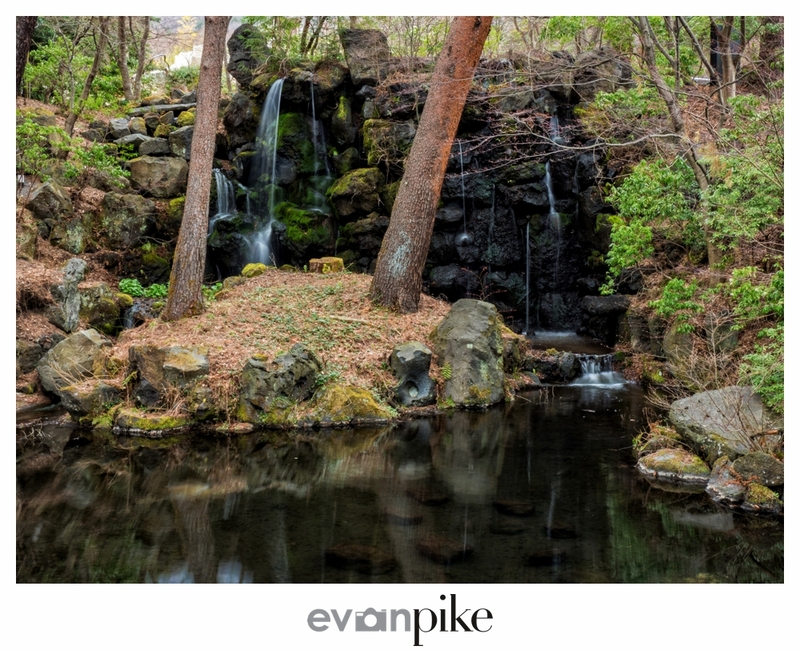 There are quite a few things I love about my new mirrorless camera, size and weight is obvious and then there is the amazing image stabilization. 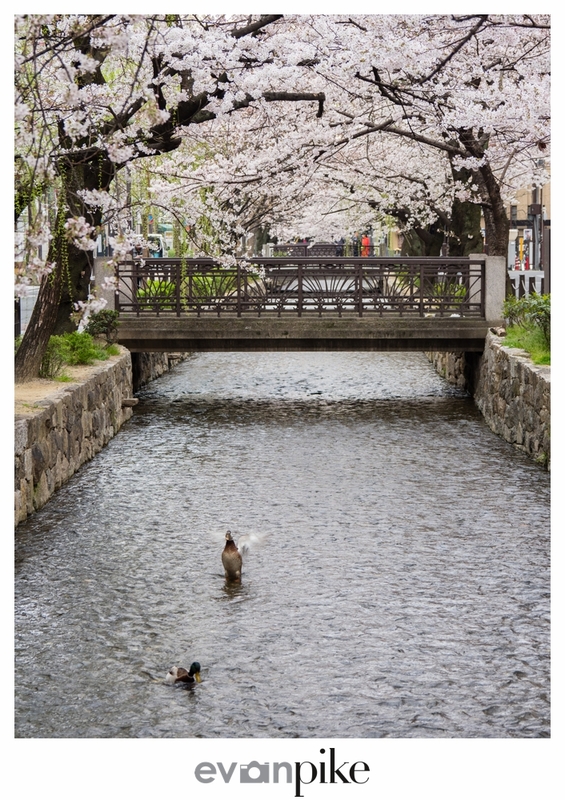 I found that quite a lot of times during my trip I was trying to push the limits of the in body image stabilization (IBIS) which is suppose to have 5.5 stops of stabilization and also combined it with the M.Zuiko ED 12-100mm f4.0 IS PRO for an extra stop. Take a look at a few examples below, first two were hand held with a little body bracing at 1 second. 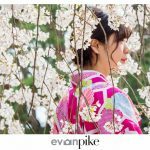 Yes, a full second! The cherry blossom one was done with me holding the camera up above my head using flipped screen to compose, not super sharp because there was some wind but still quite amazing for what I was doing. 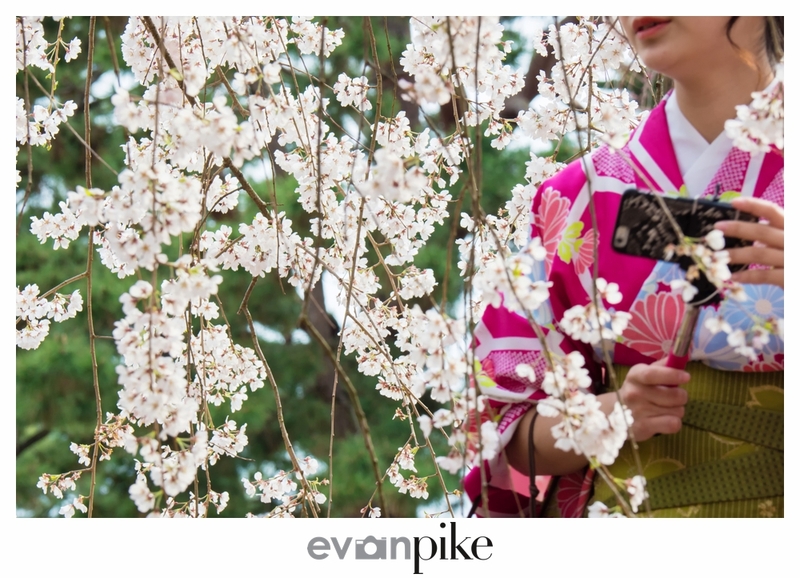 The cherry blossoms were catching up with our small group of photographers as we headed north in Japan from Miyajima to Himeji. 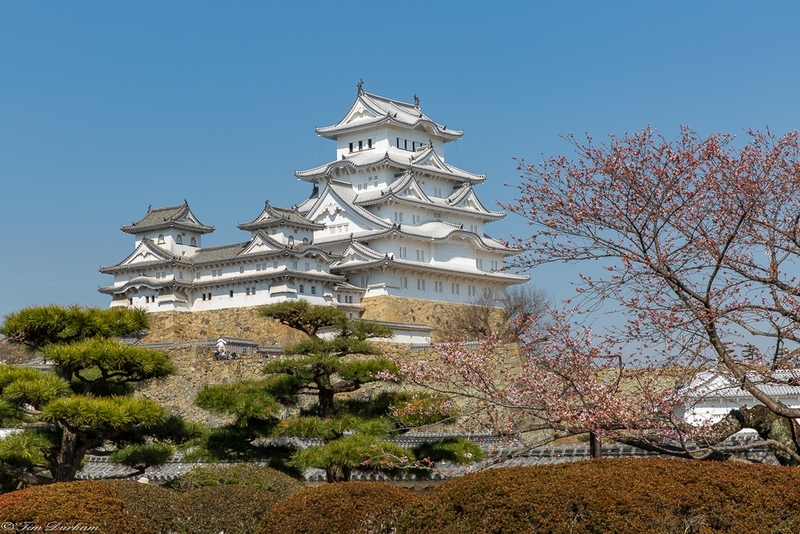 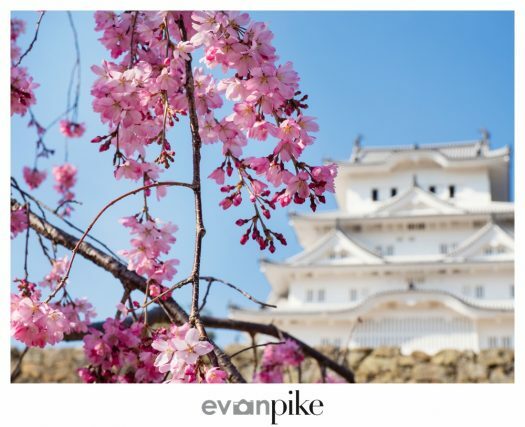 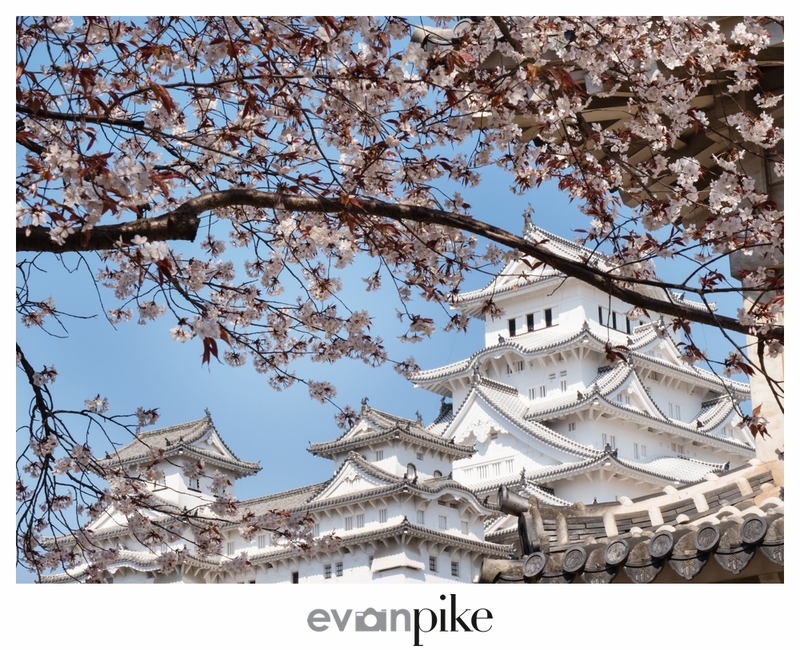 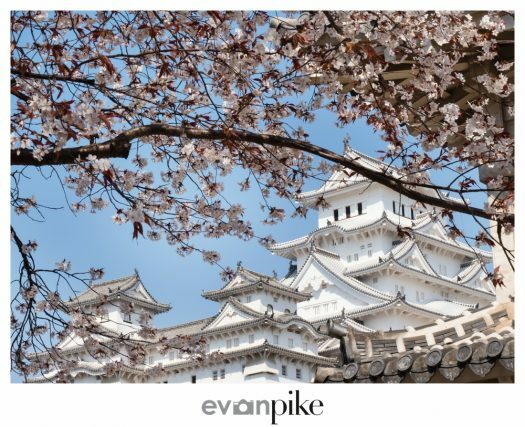 Himeji is Japan’s most famous and spectacular castle but also famous for it’s hundreds of cherry blossom trees spread out across the castle grounds. 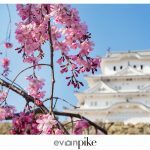 While the cherry blossoms were almost few bloom, we were probably still 2 days or so early for taking photographs of full bloom cherry blossoms with Himeji Castle. The cherry blossoms were still quite nice though and even the castle without the cherry blossoms can be a great subject for our photography tours. 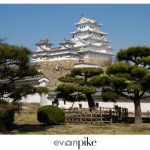 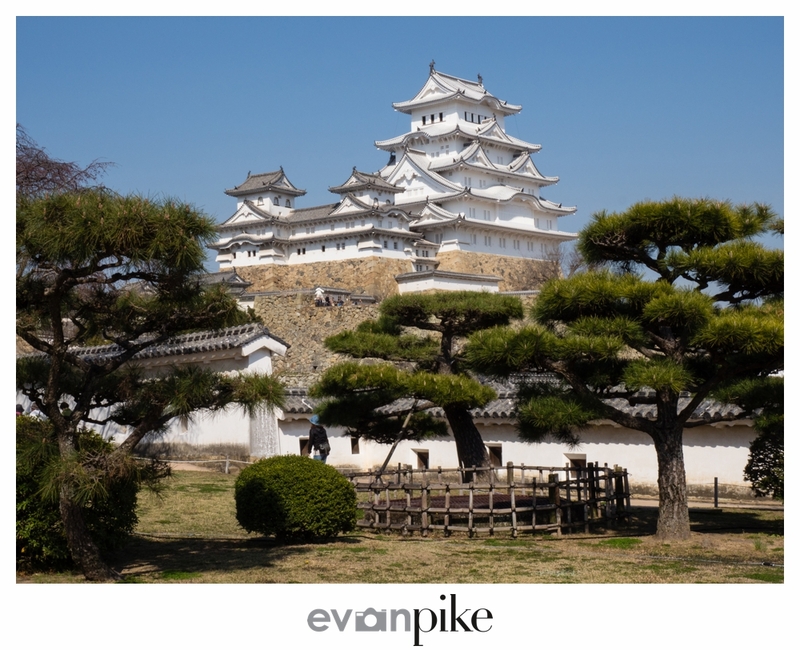 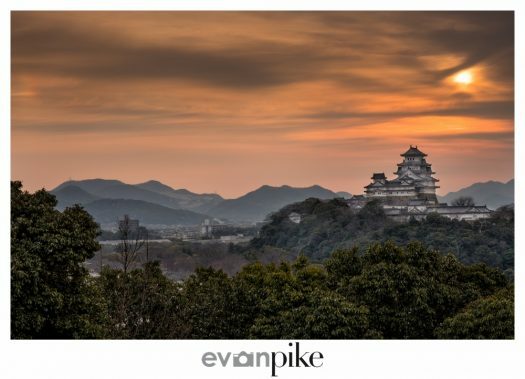 I believe that Mount Fuji is best viewed and photographed from afar, and like Japan’s most iconic symbol, I really enjoy taking photos of Himeji Castle from a distance as well. 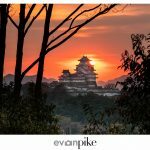 The past few years I haven’t had much luck with the sunrises in Himeji, but this year’s sunrise at Himeji Castle was quite nice and colorful! 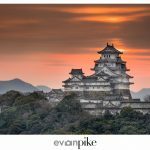 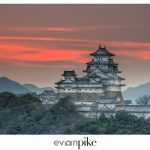 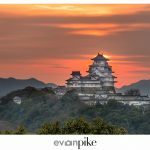 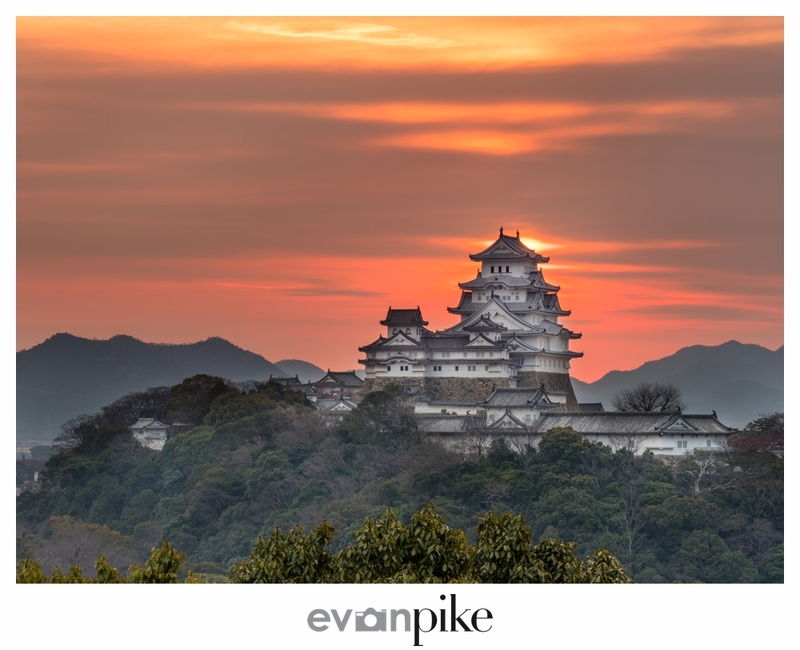 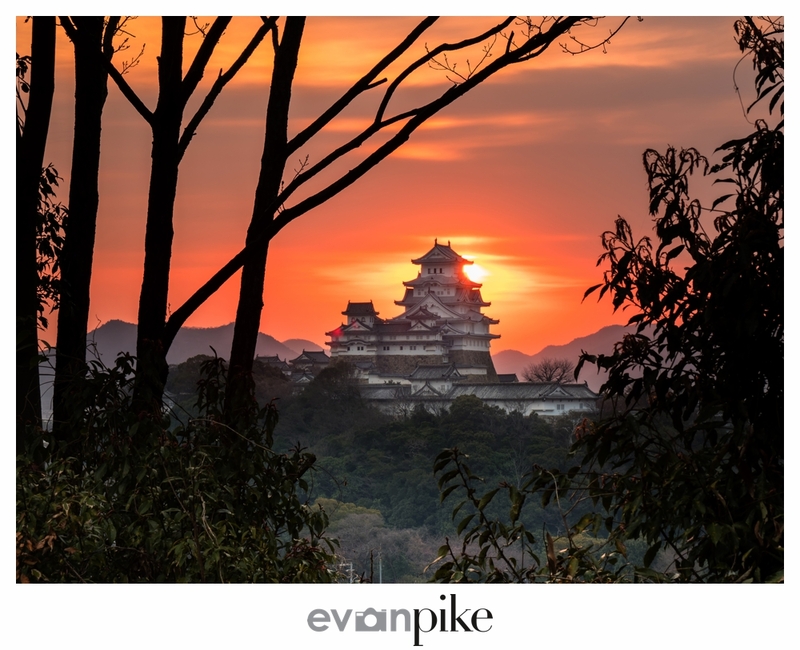 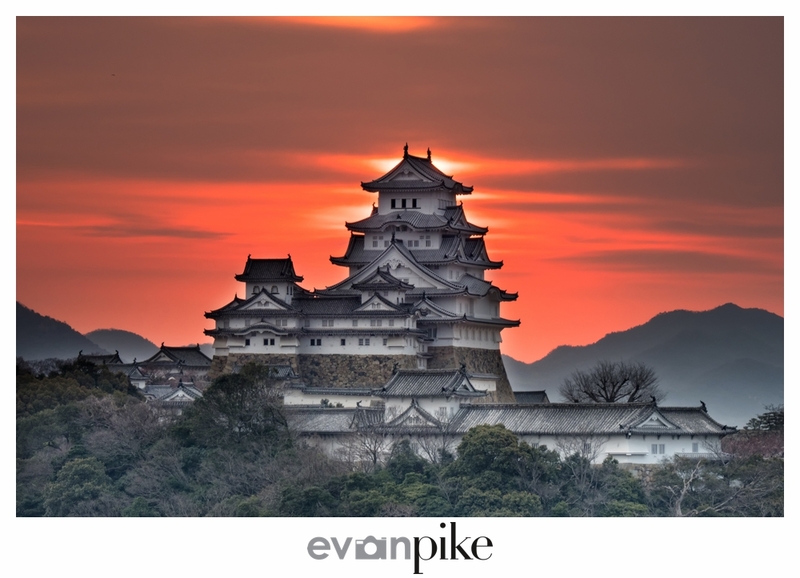 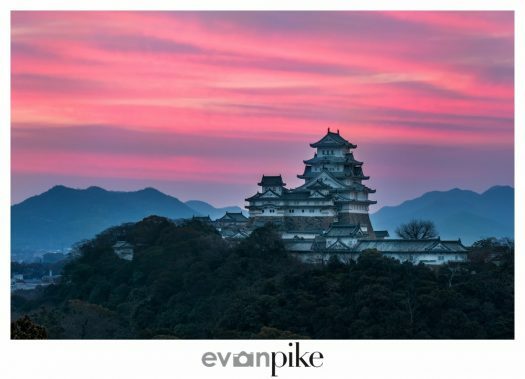 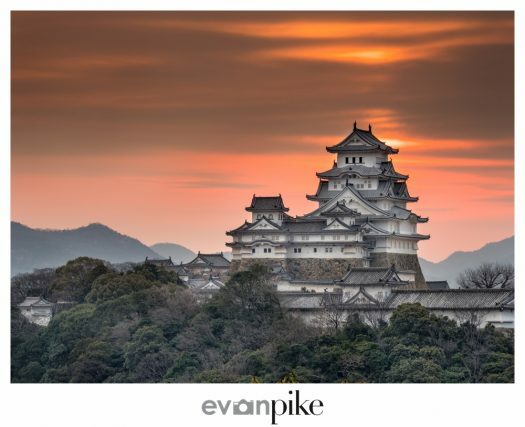 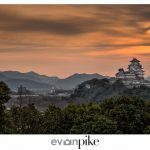 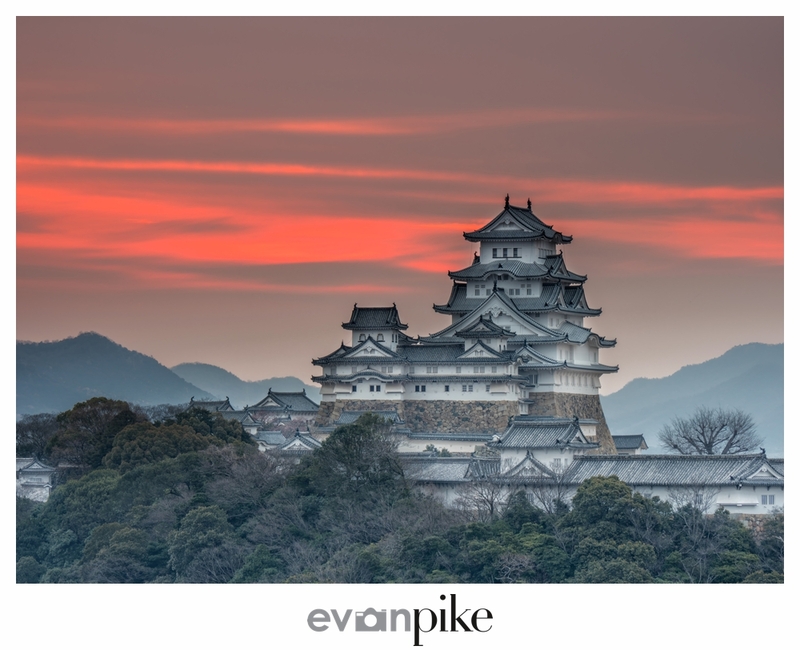 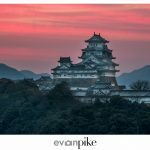 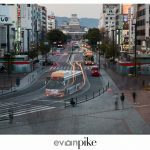 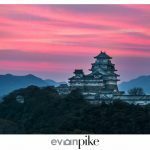 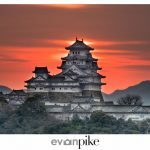 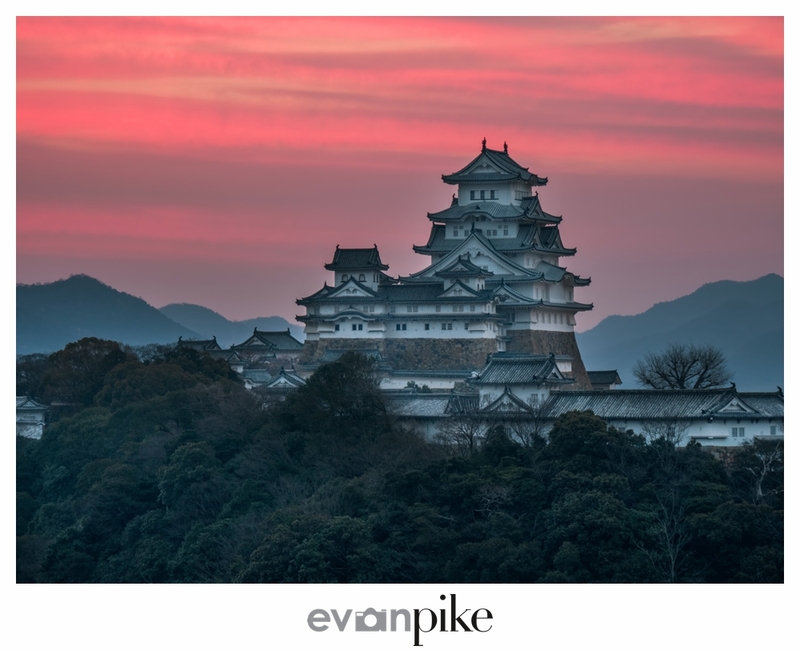 Scroll down to see more photos of Himeji Castle at sunrise in the gallery.